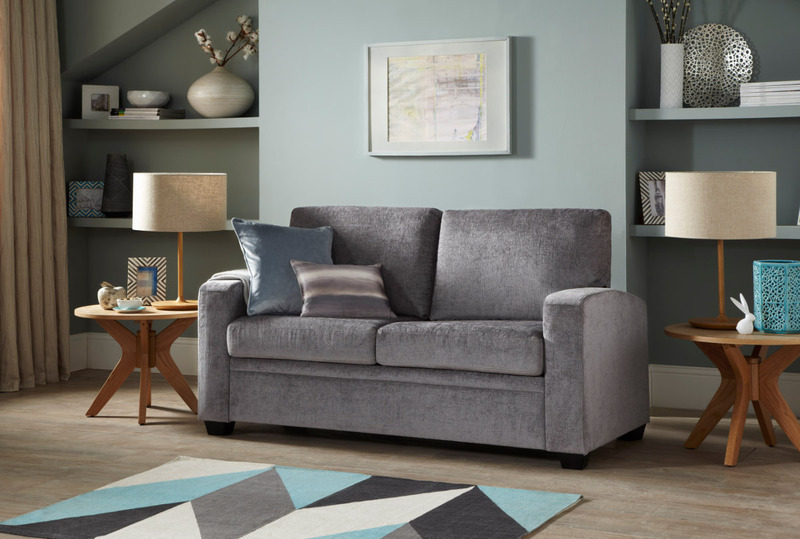 Choosing the best sofa for your home is no easy task as there are lots of factors to consider from design and style, to support, comfort, quality and importantly longevity. 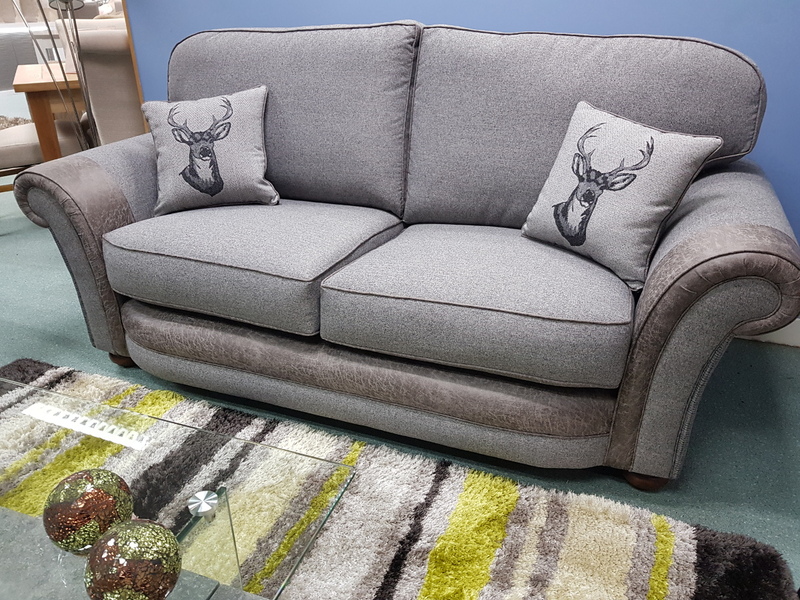 At P&A Furnishings, our sofa offering is huge with an array of makes and models to select from that tick every box. 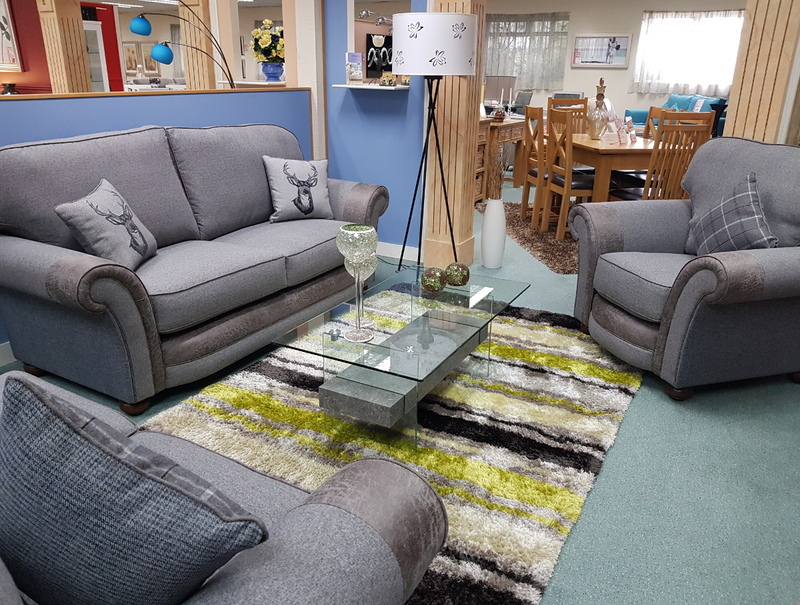 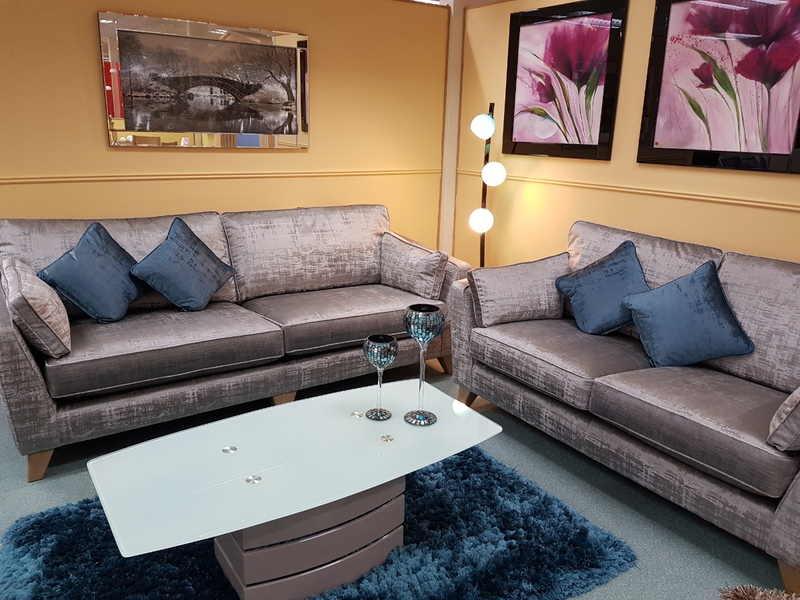 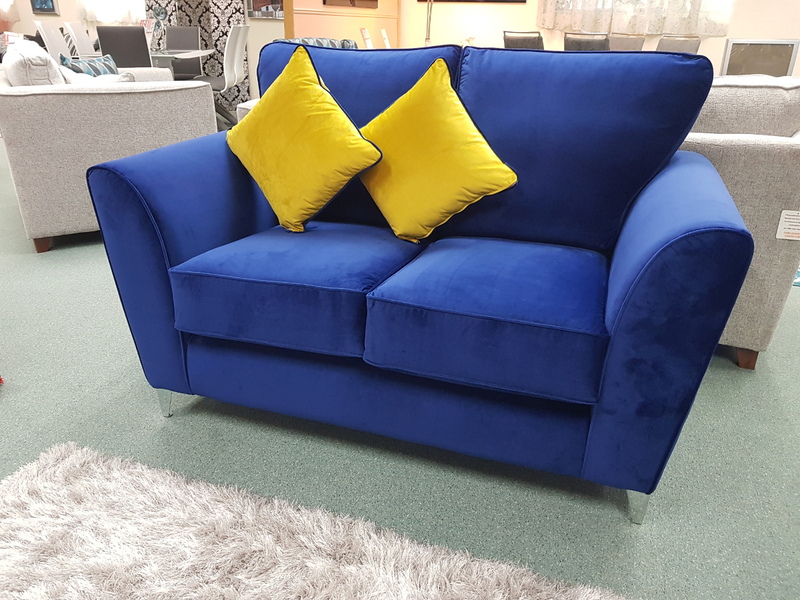 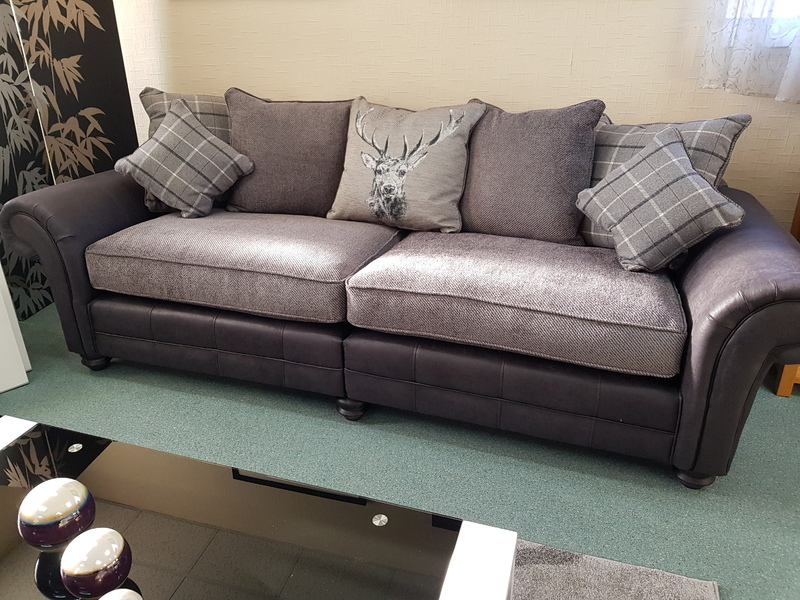 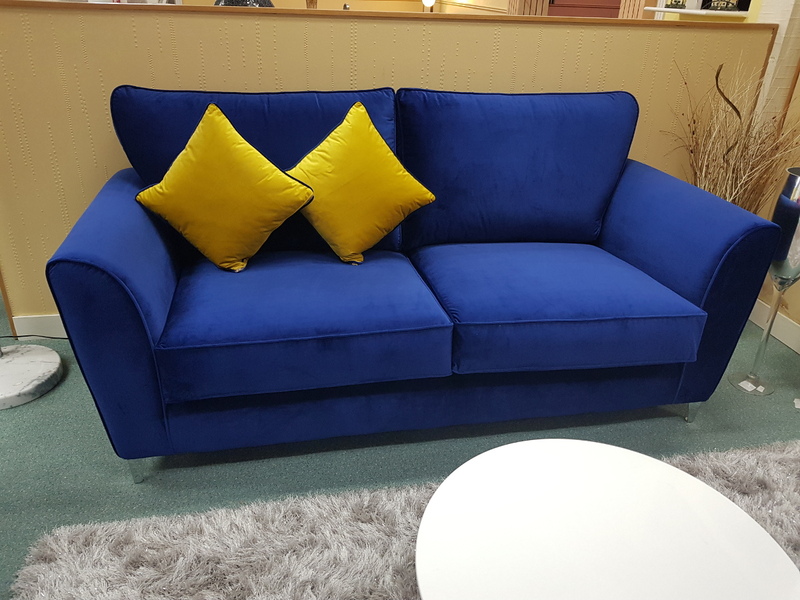 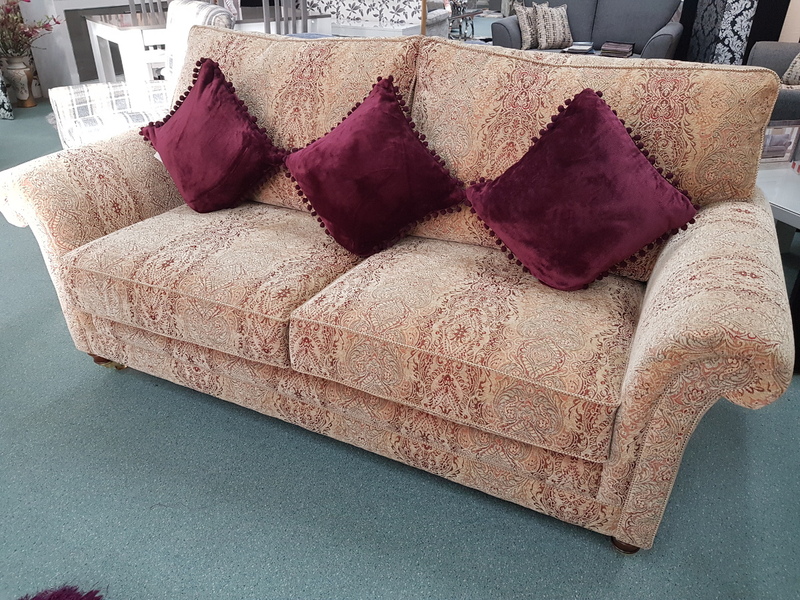 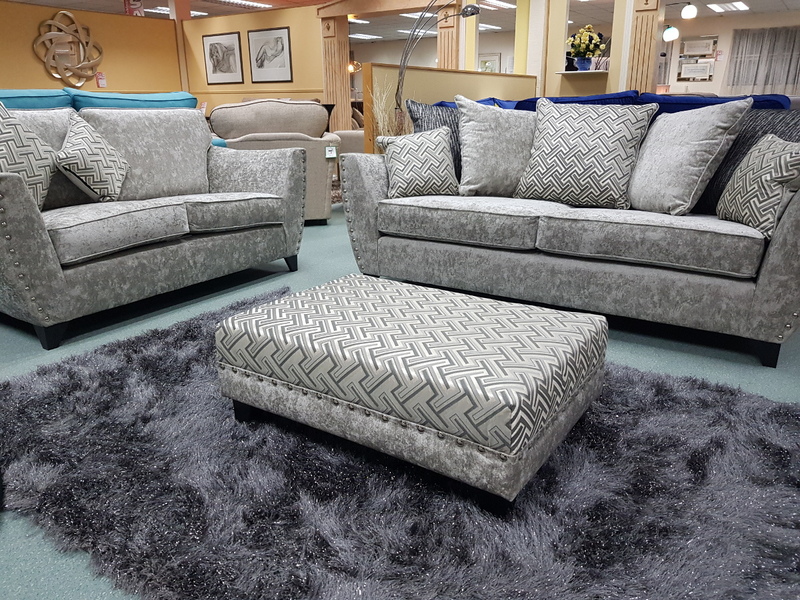 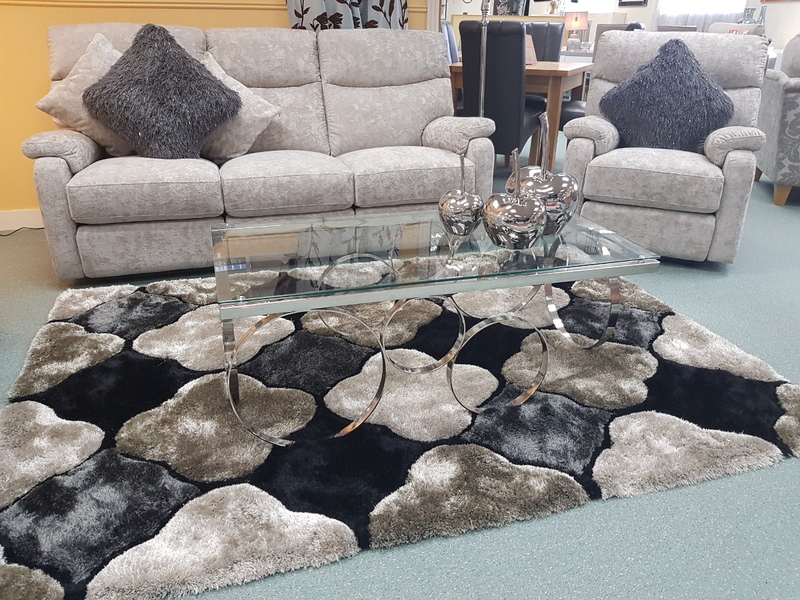 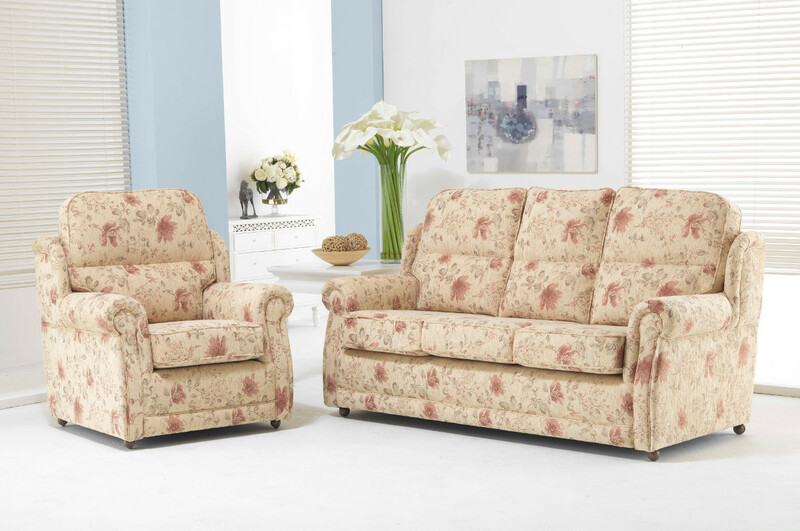 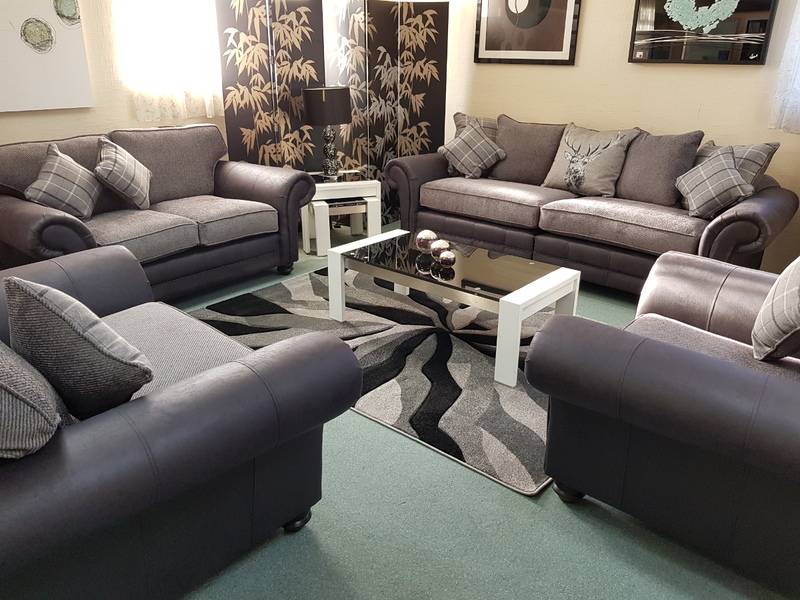 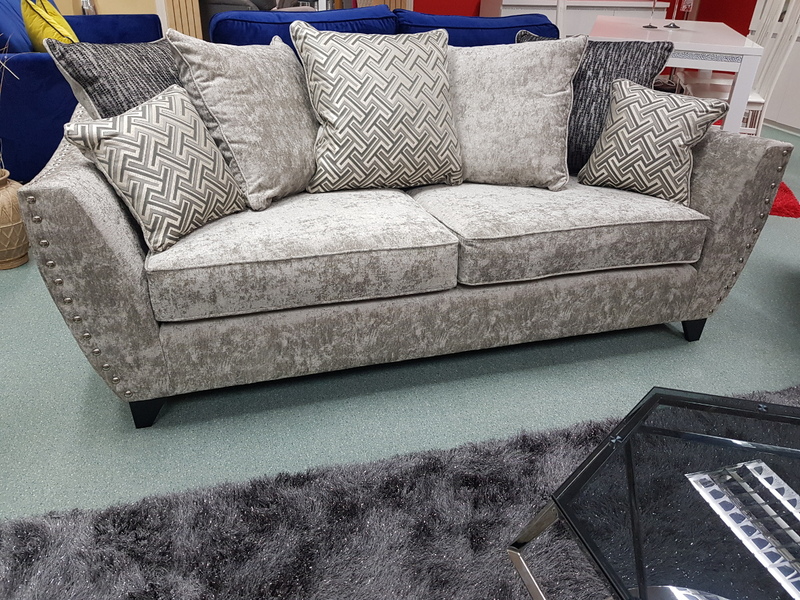 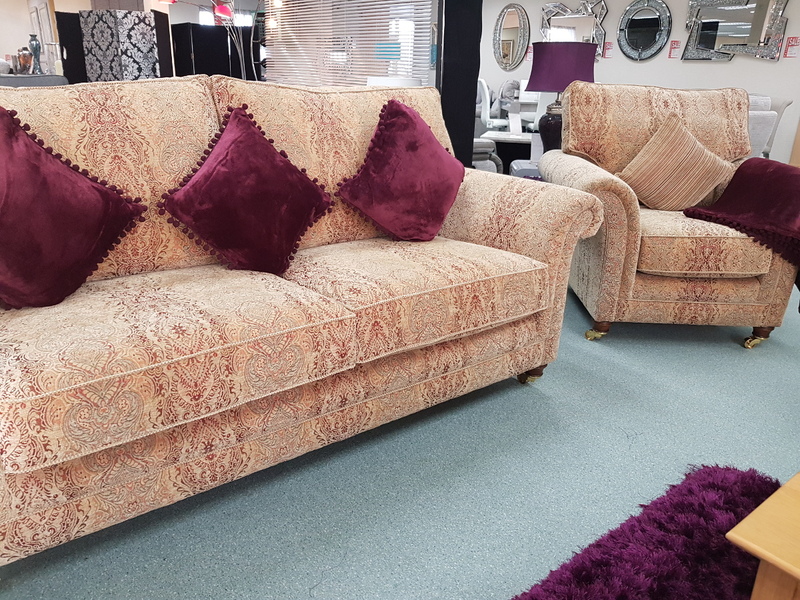 Fabric sofas are a popular choice as they are comfortable, warm and cosy, great value for money and are available in a wide variety of colours, fabrics and prints. 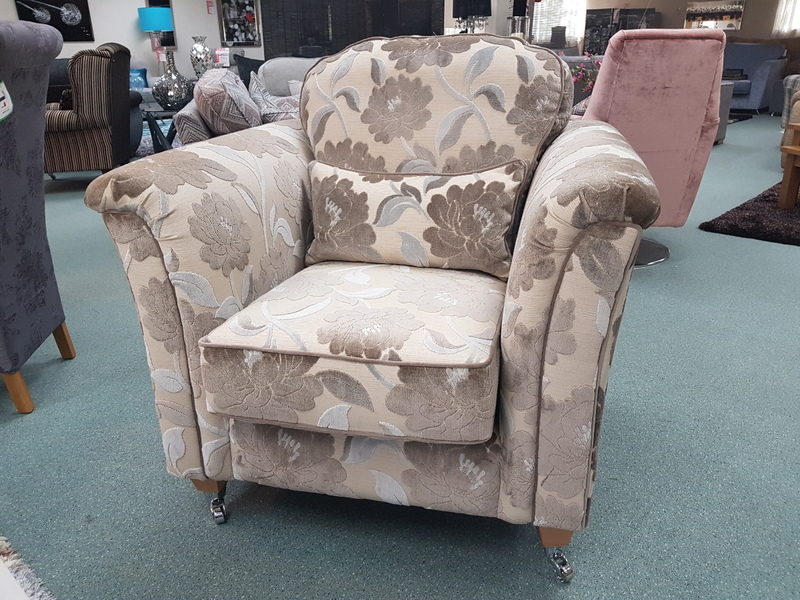 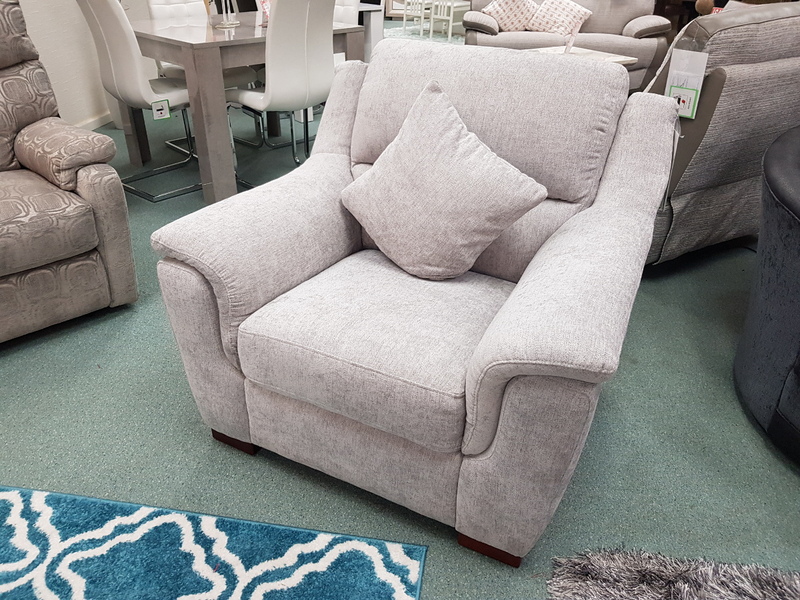 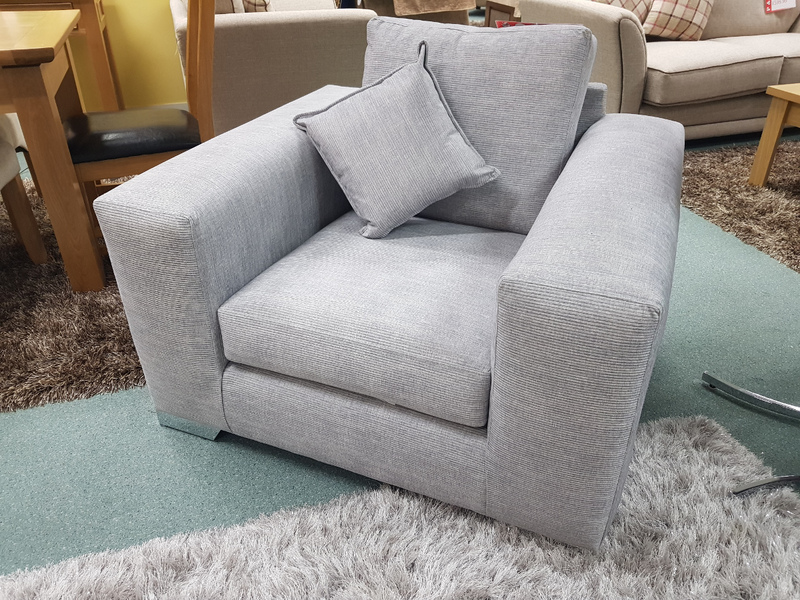 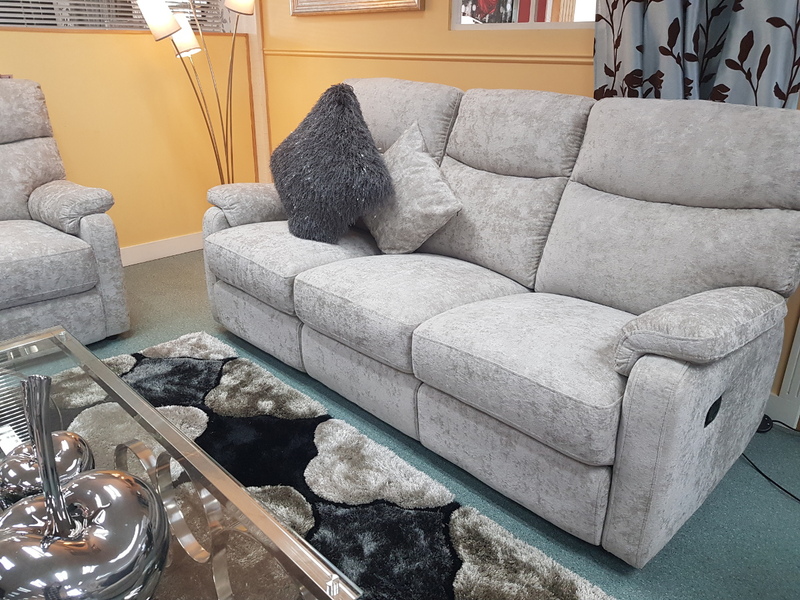 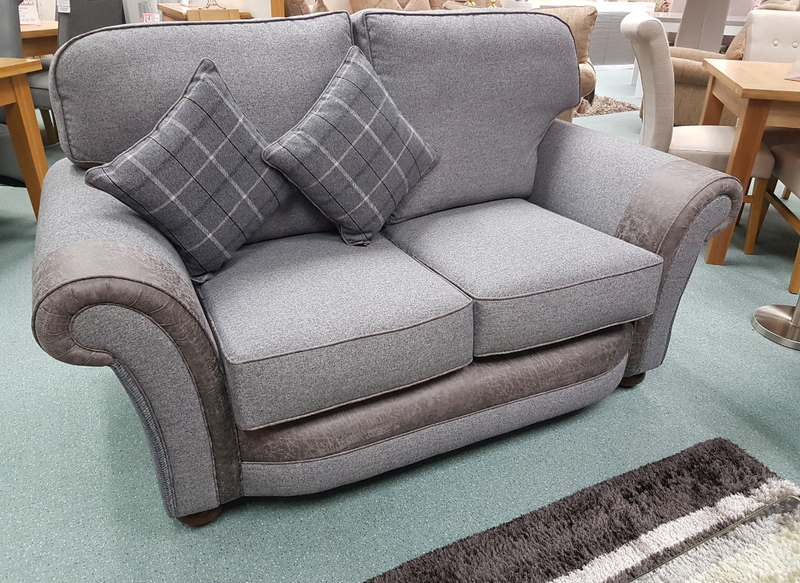 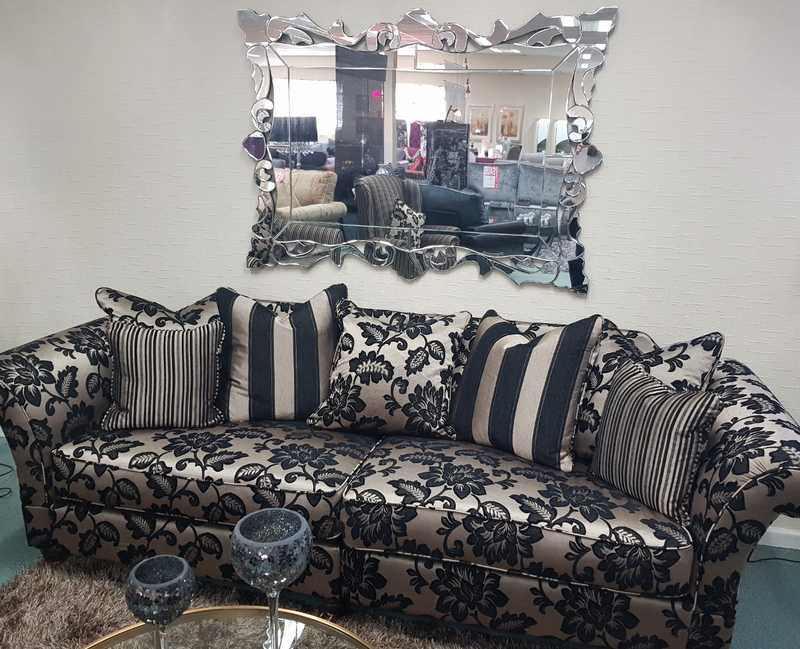 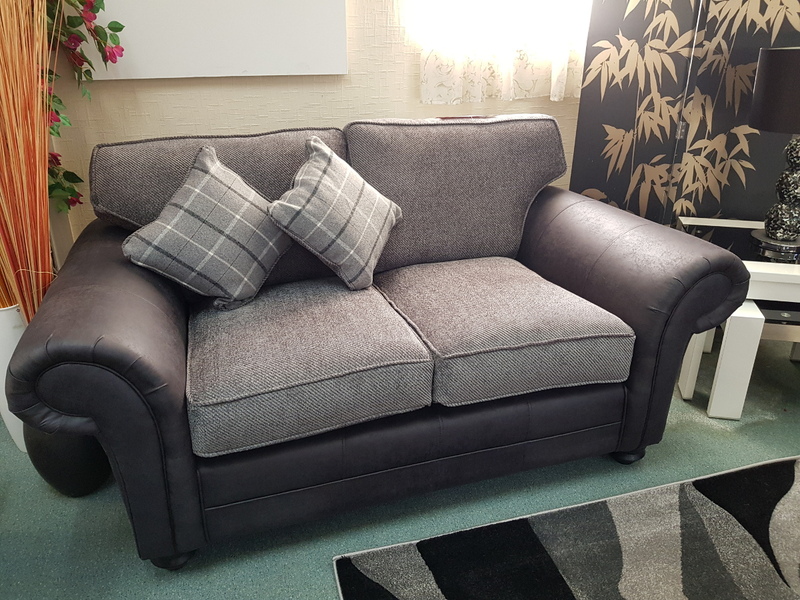 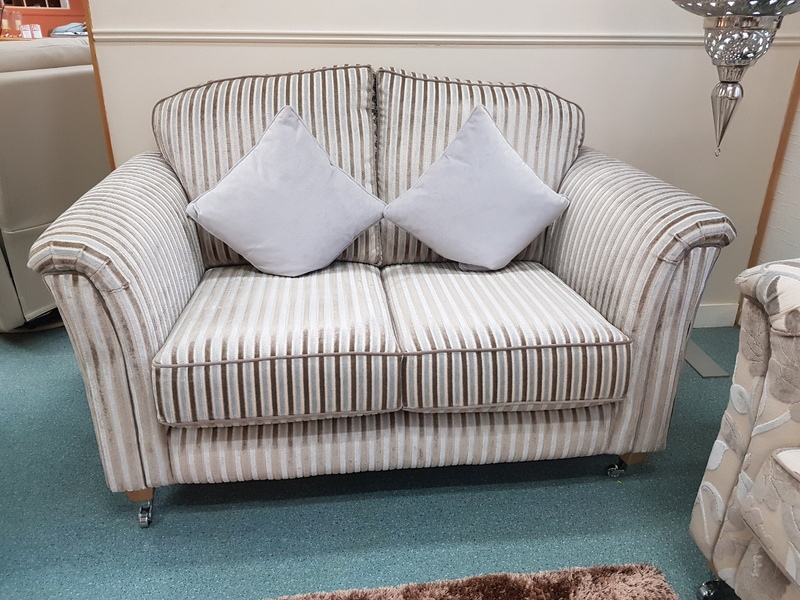 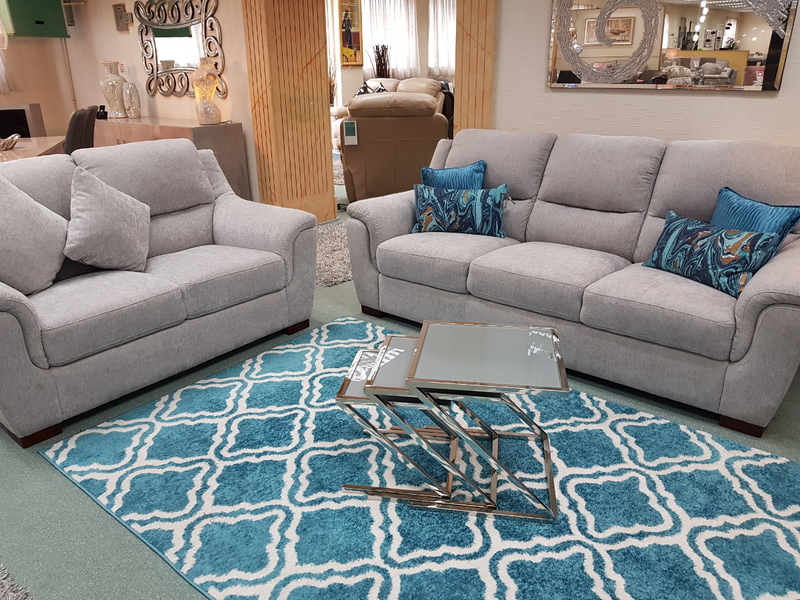 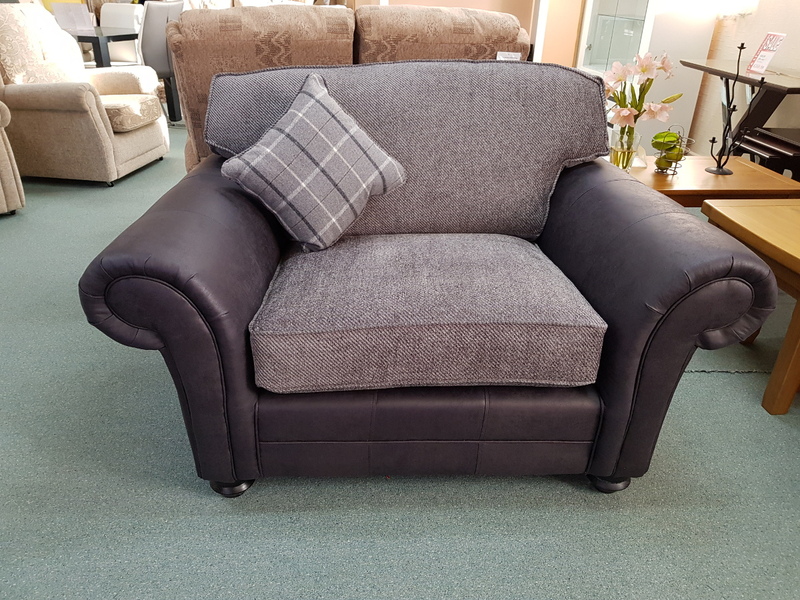 We stock a vast selection of fabric sofas from fixed sofas to corner groups, chaise sofas, sofa beds, manual reclining and power reclining fabric sofas as well as lift and rise chairs, wingback chairs, fireside chairs, swivel chairs and rocking chairs. 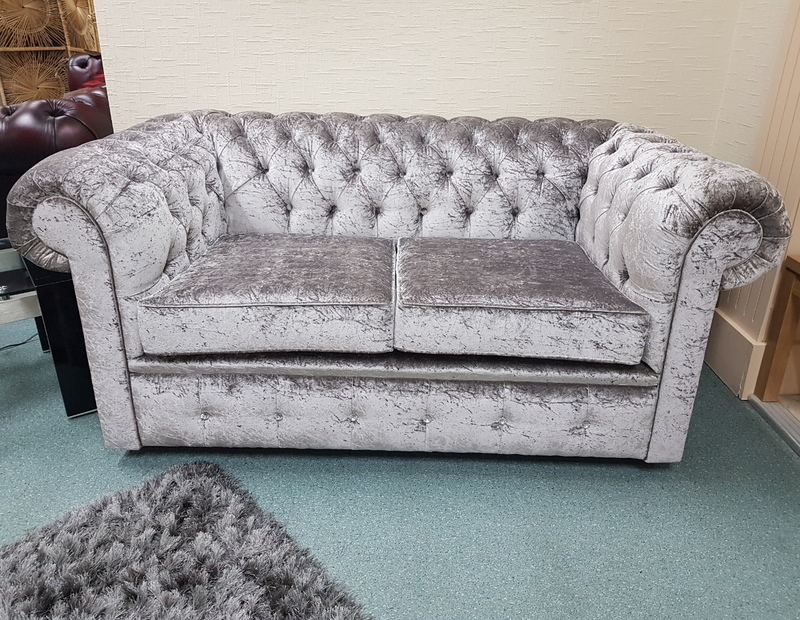 Our sofas are also available in a variety of styles and shapes from the classic and timeless Chesterfield or Queen Anne to a modern curved sofa. 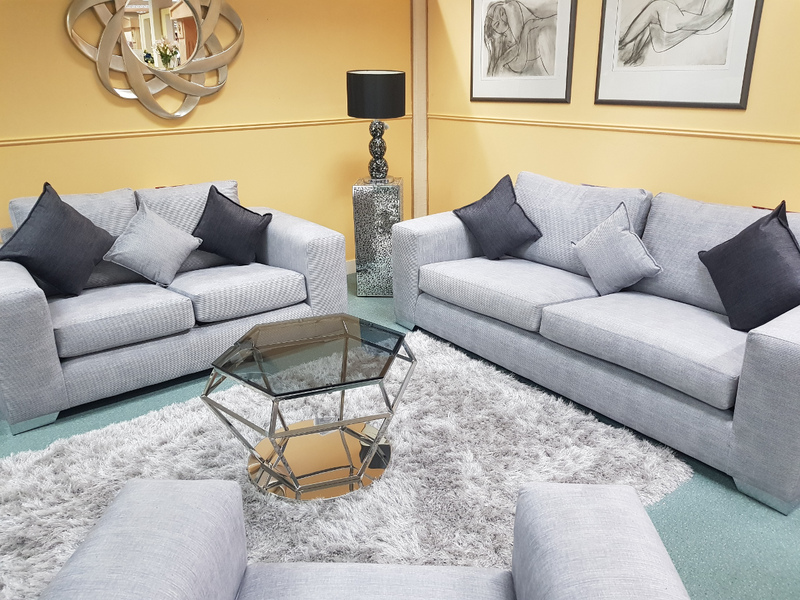 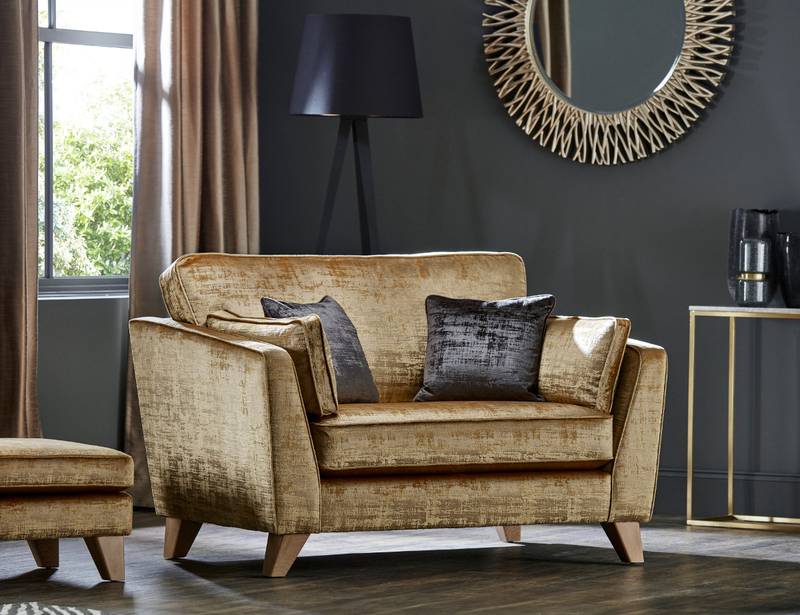 Corner sofas are a practical way to maximise living space as they can slot perfectly into the corner of a living room or lounge depending on the size and shape of your living area. 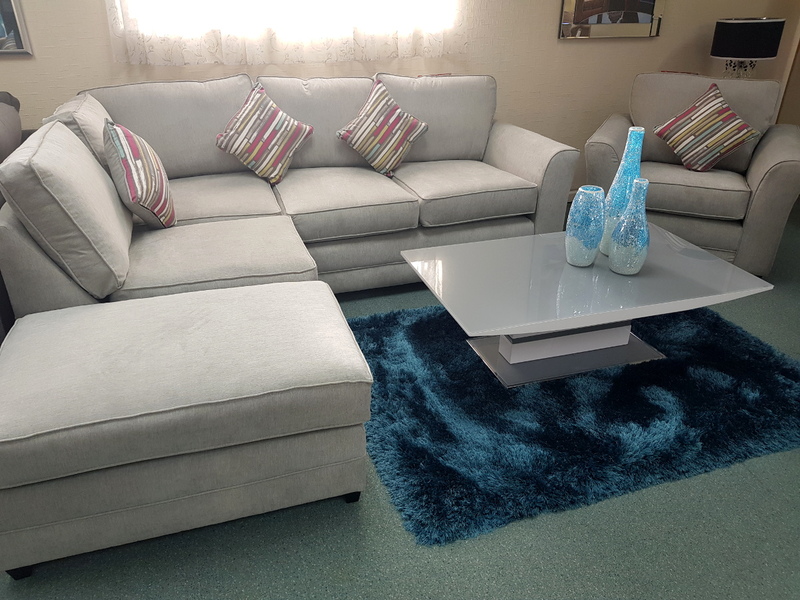 They also offer more seating space than a traditional sofa making them ideal for large families or those who regularly entertain guests. 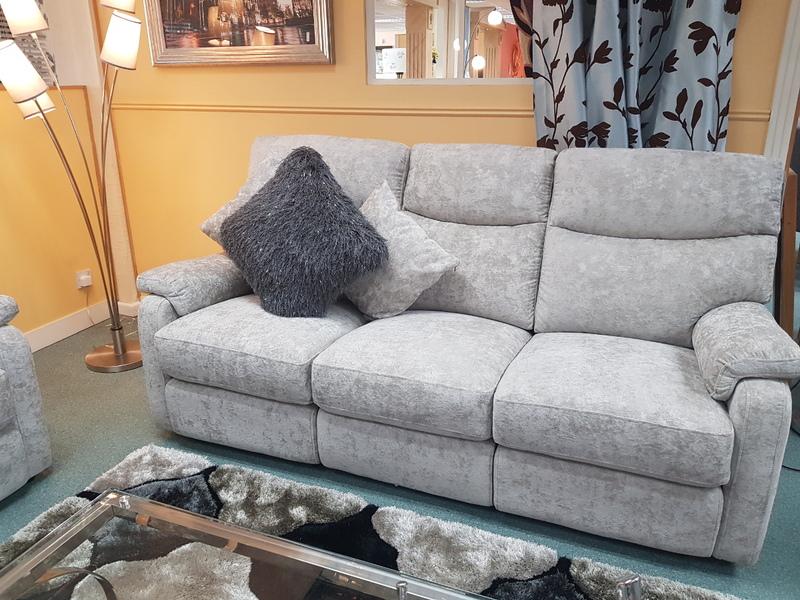 Many corner sofas are also made up of different sections allowing you to extend the length of the sofa if required to make a corner group that offers additional seating. 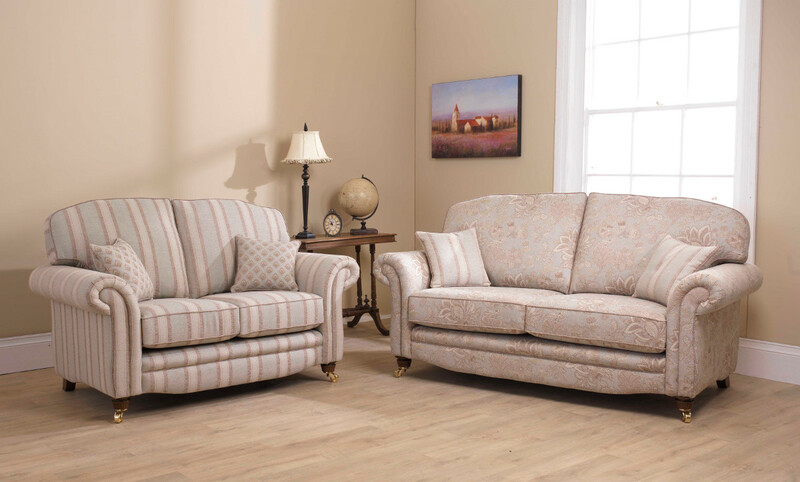 A chaise sofa is a traditional sofa with a longer end on one side which extends out to support the feet. 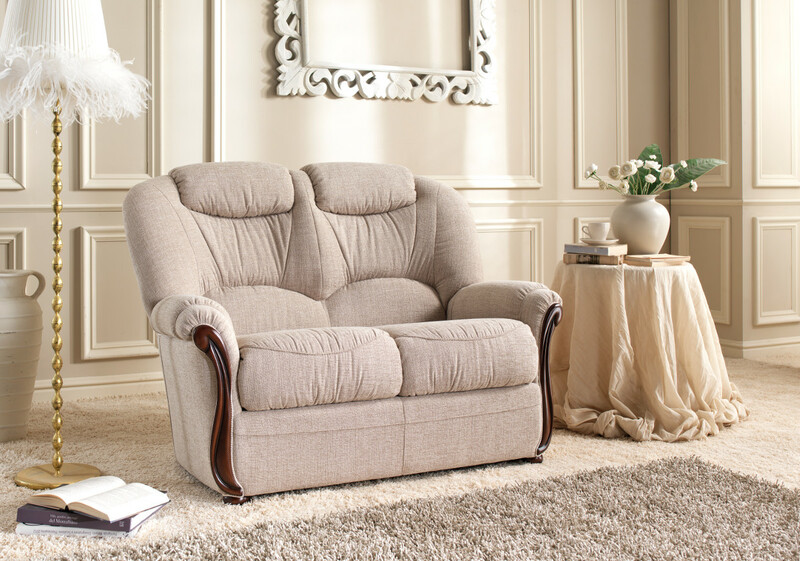 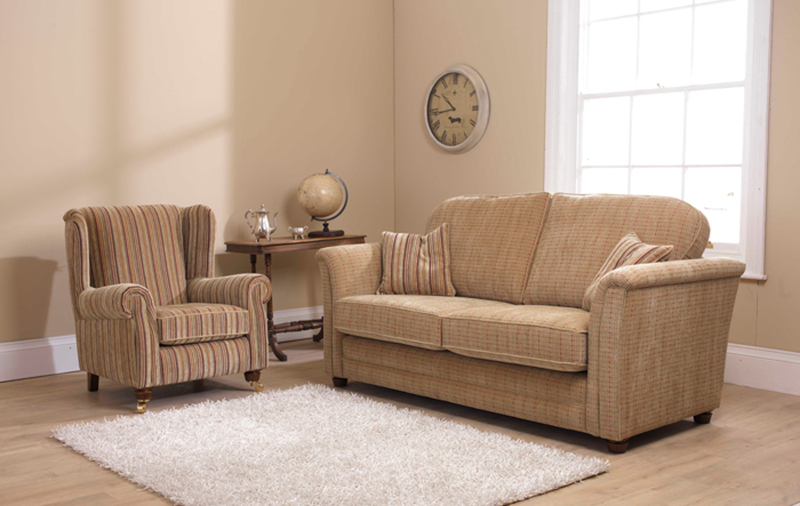 This model offers additional support and comfort and is ideal for those who use a footstool with a traditional sofa. 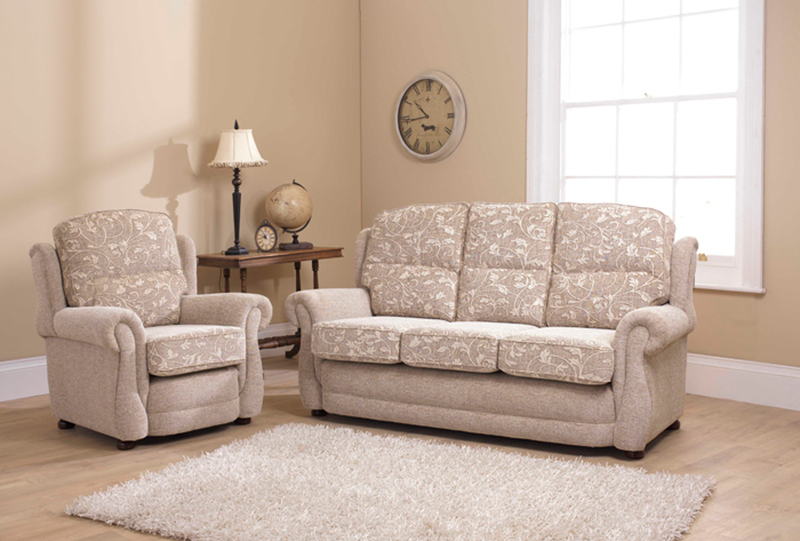 Another sofa option for those looking for additional support and comfort would be a reclining sofa. 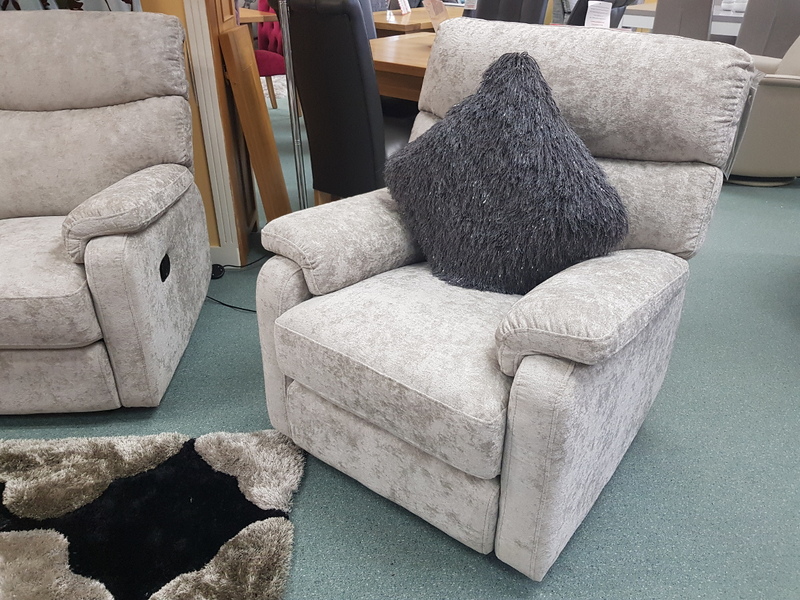 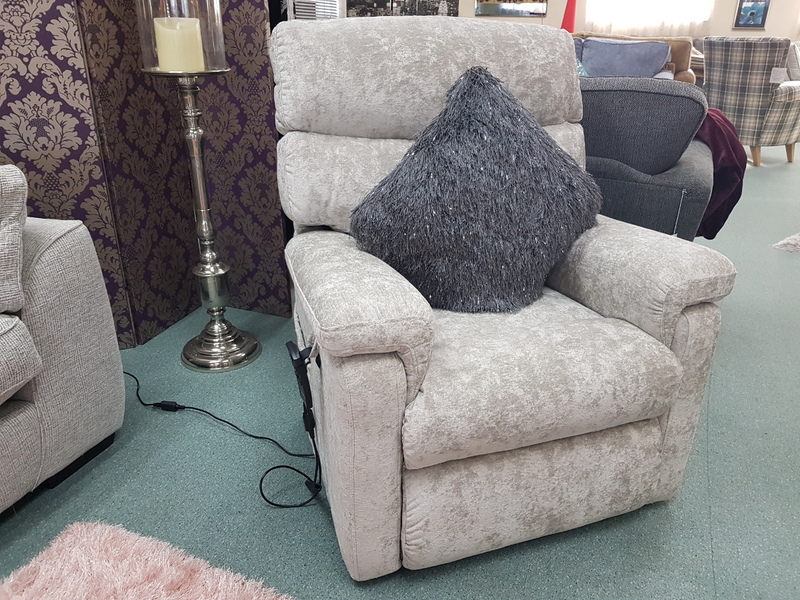 We have both manual reclining and electric reclining options so you can literally take the weight off your feet and unwind with ease. 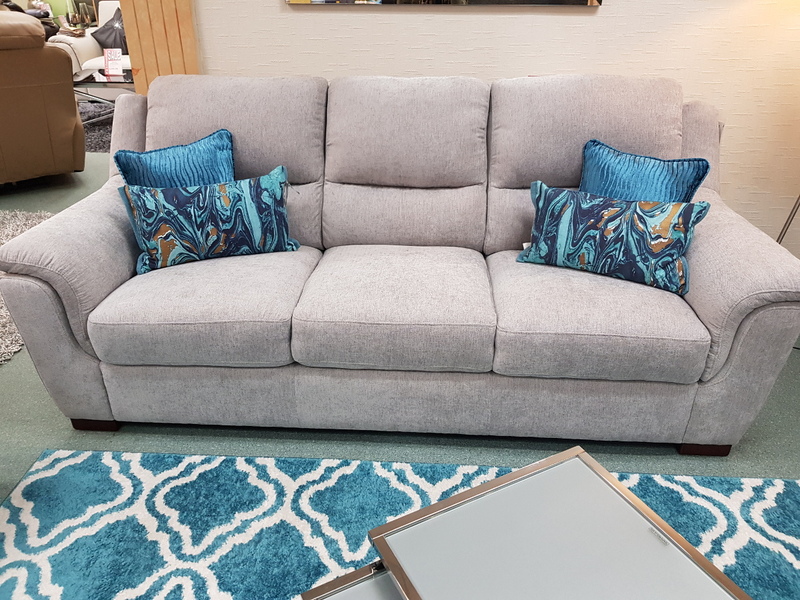 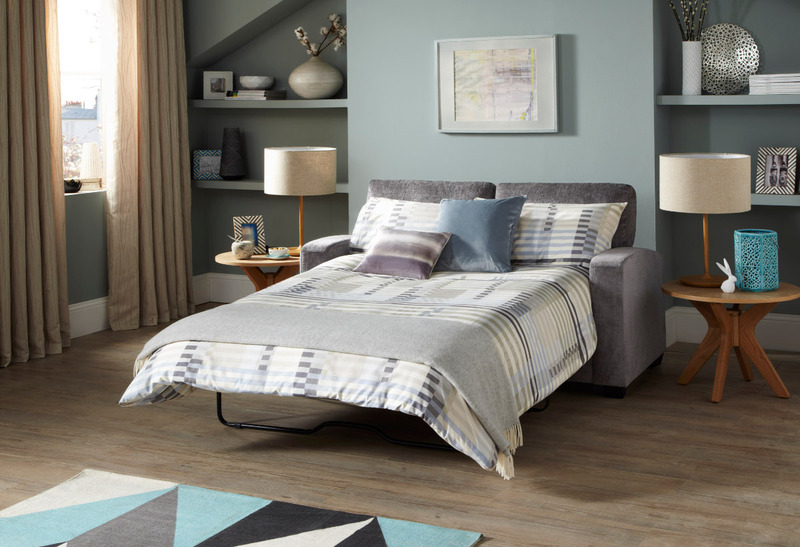 We also have a range of fabric sofa beds which are dual performing as they act as a sofa and bed, perfect for those who regularly have guests. 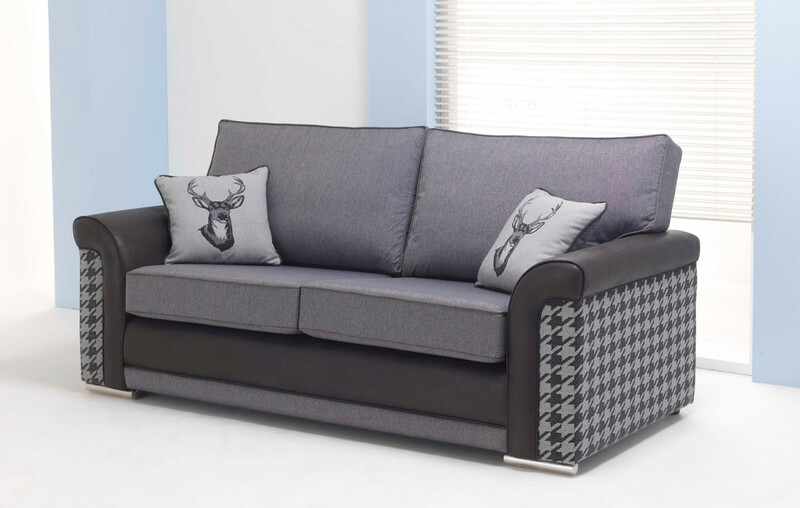 Sofa beds have sleek designs and so serve your living room like a traditional sofa, saving you space without compromising your home décor. 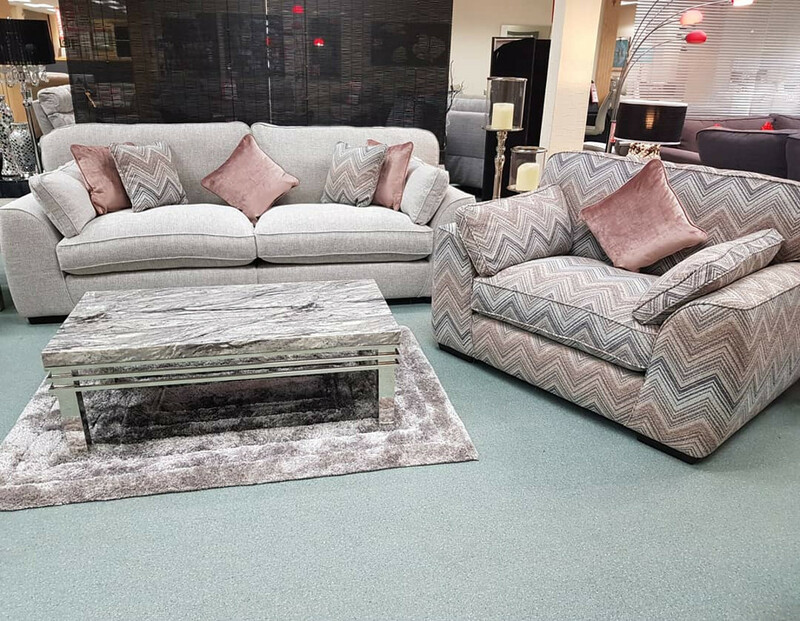 The print and finish options with fabric sofas are endless, making them the ideal choice for those wanting a statement piece for their living area. 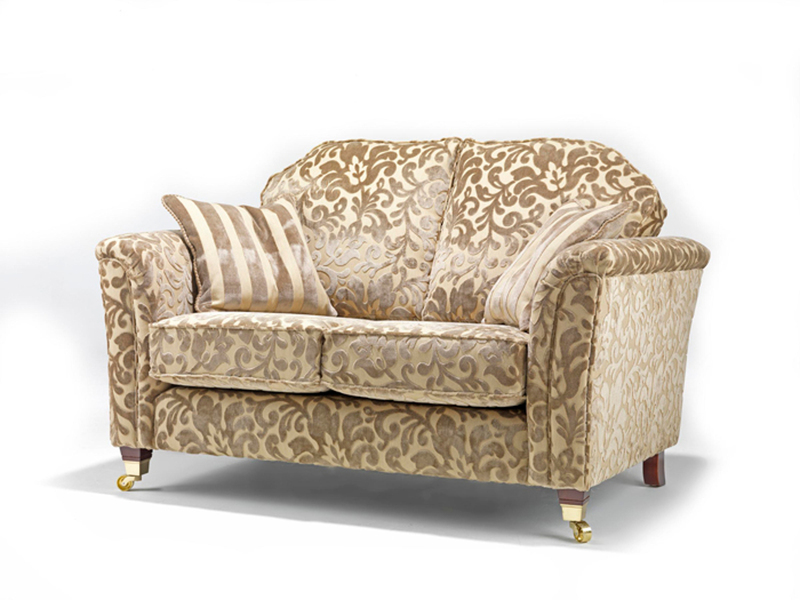 Fabrics include velvet, crushed velvet, chenille, wool, linen, corduroy, microfiber, dralon, cotton and polyester. 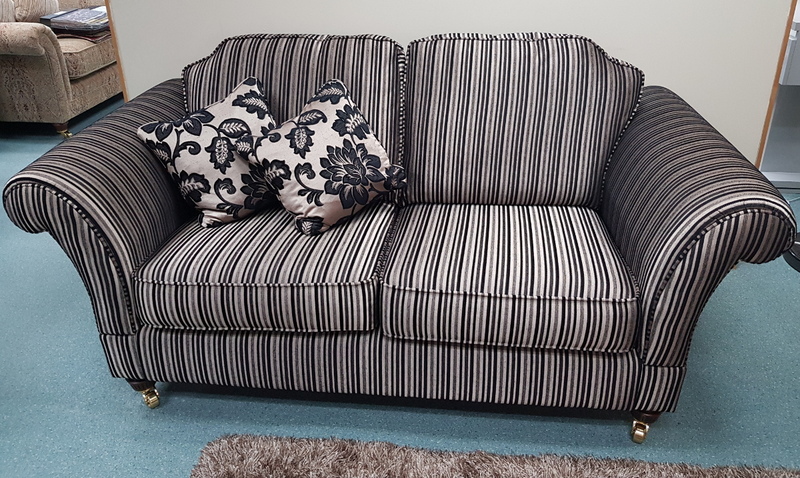 Prints range from floral, stripe, check, patterned and combination prints and of course there are a wide range of plain fabric sofas in single colours. 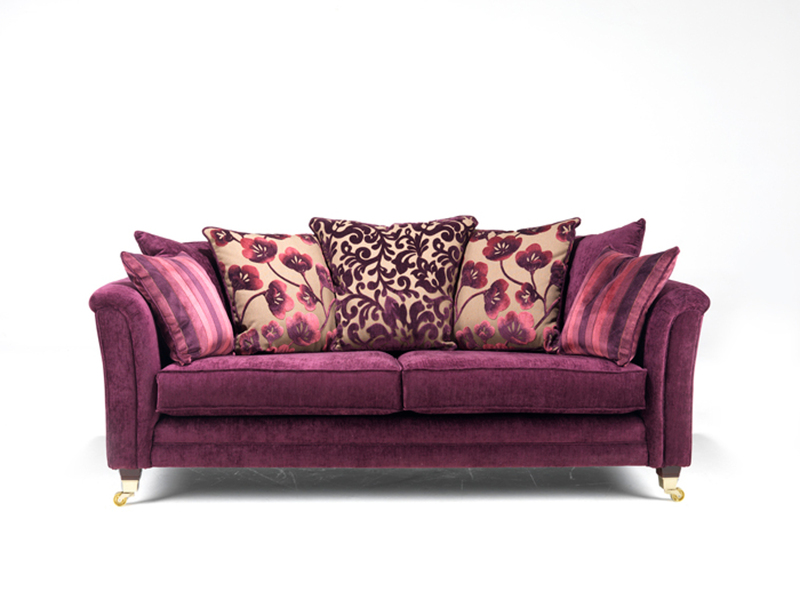 When deciding on fabric choice, it is important to consider the usage of the sofa. 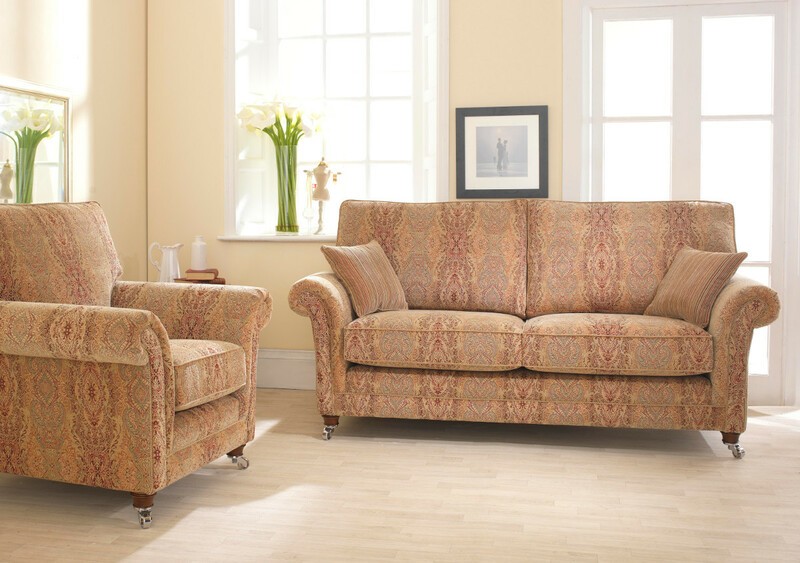 If the sofa will be in an environment where it will be under heavy use, it is important to select a fabric that has a high Martindale rub-test. 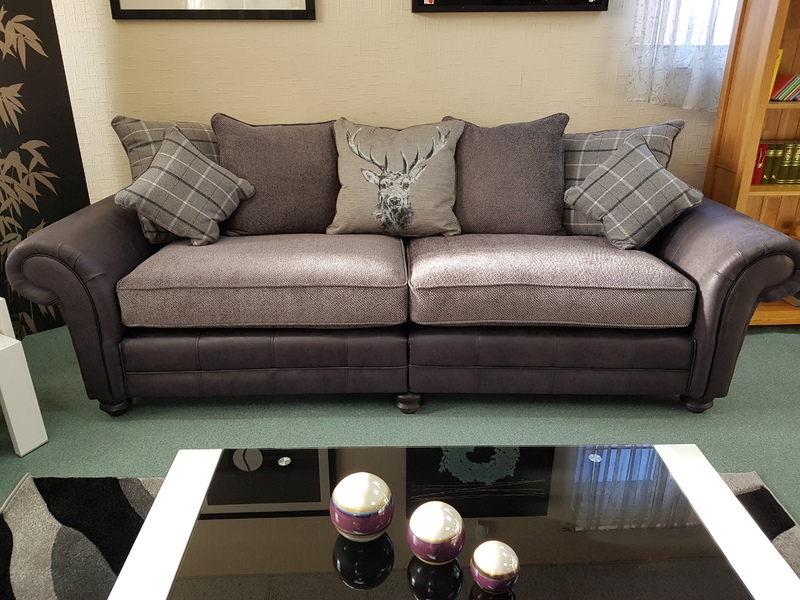 This is a test that is carried out to determine how durable the fabric is. 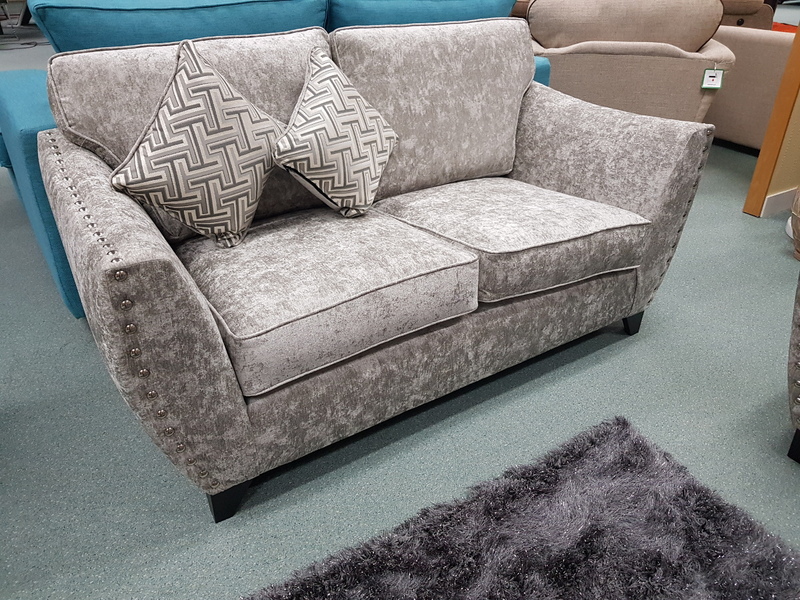 At P&A Furnishings, we use predominantly high rub test materials in all of our fabric sofas. 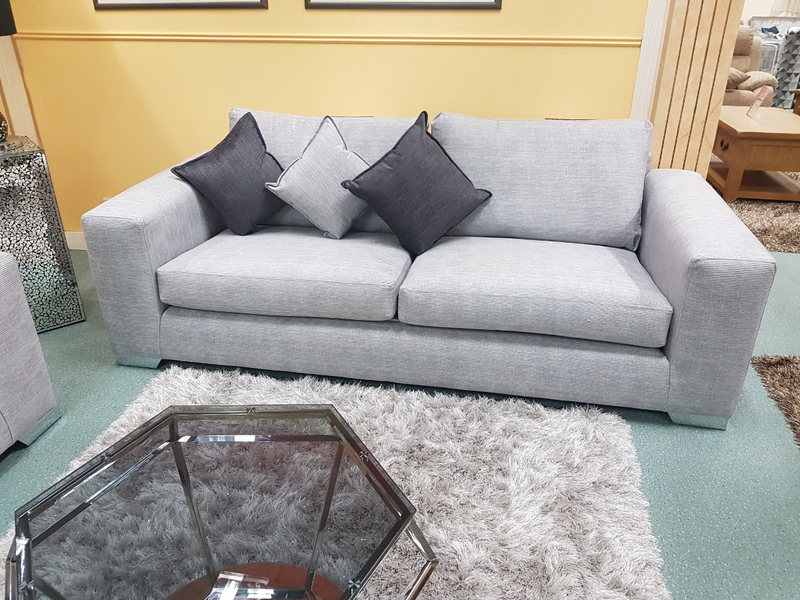 Our trained technicians would be happy to discuss with you the type of environment your sofa would be going into and therefore the type of fabric you would need to consider for that environment. 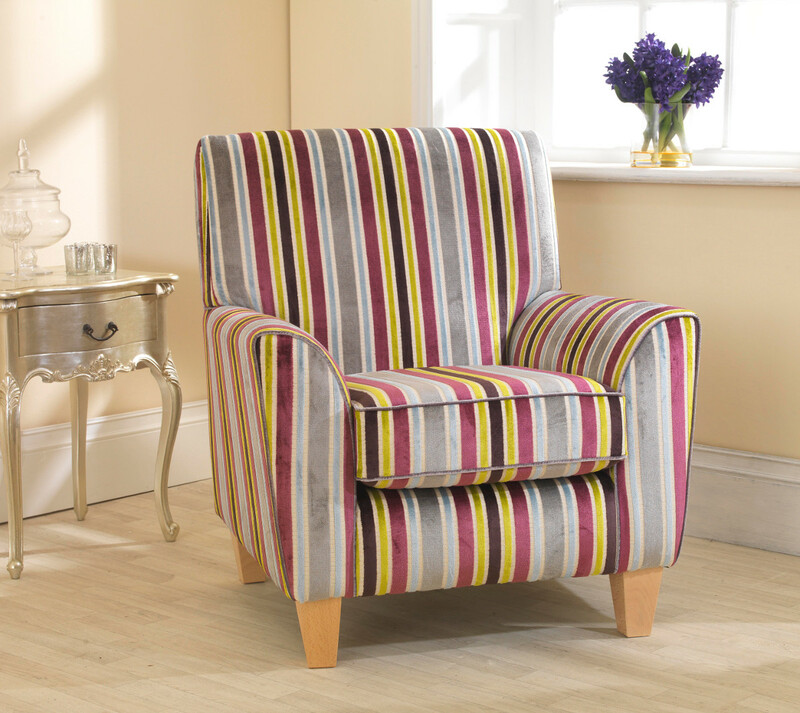 We also have fabrics suitable for heavy contract usage. 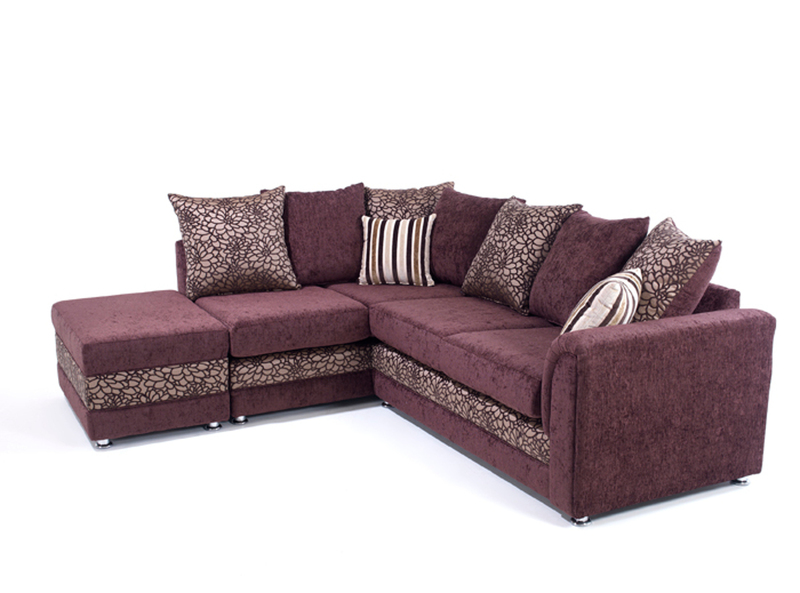 Get in touch with us for further details. 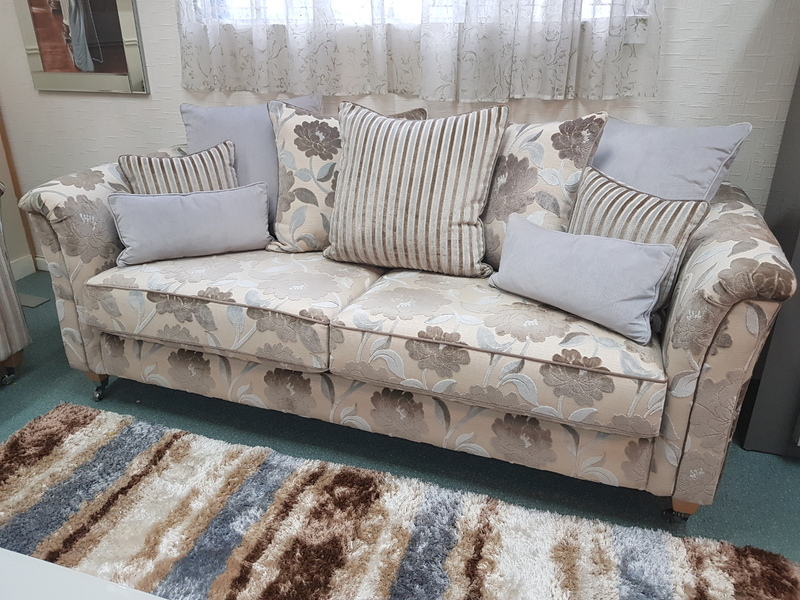 Fabric sofas are available in a range of combinations including 4 seaters, 3 seaters, small 3 seaters, 2.5 seaters, 2 seaters, single arm chairs, cuddle chairs, love seats, accent chairs and corner units so no matter the available space you have, you will always find a fabric sofa to fit. 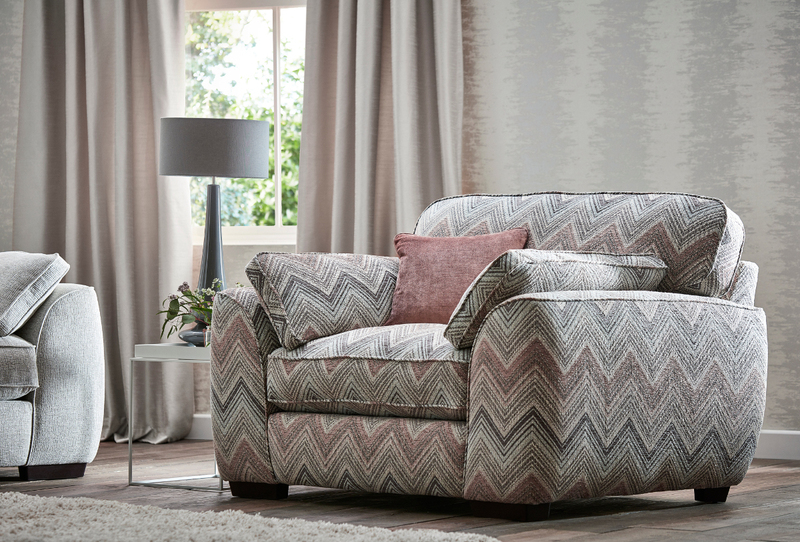 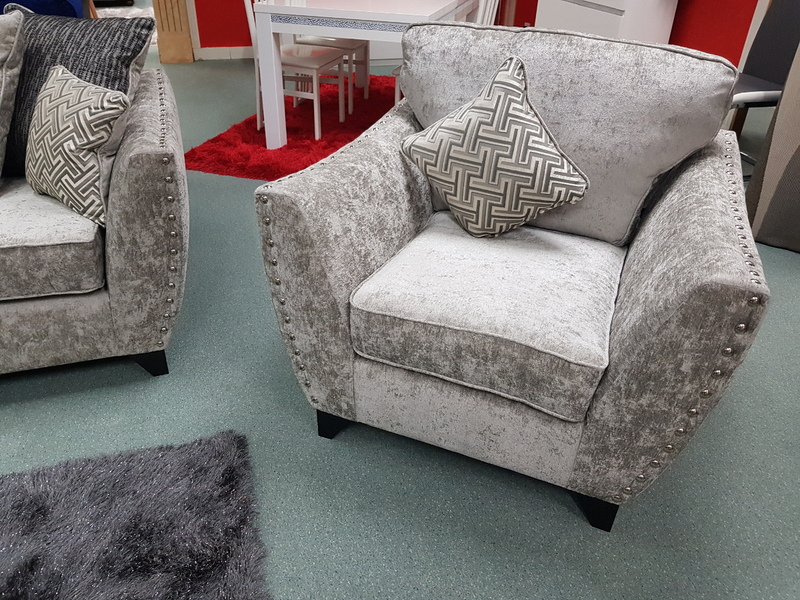 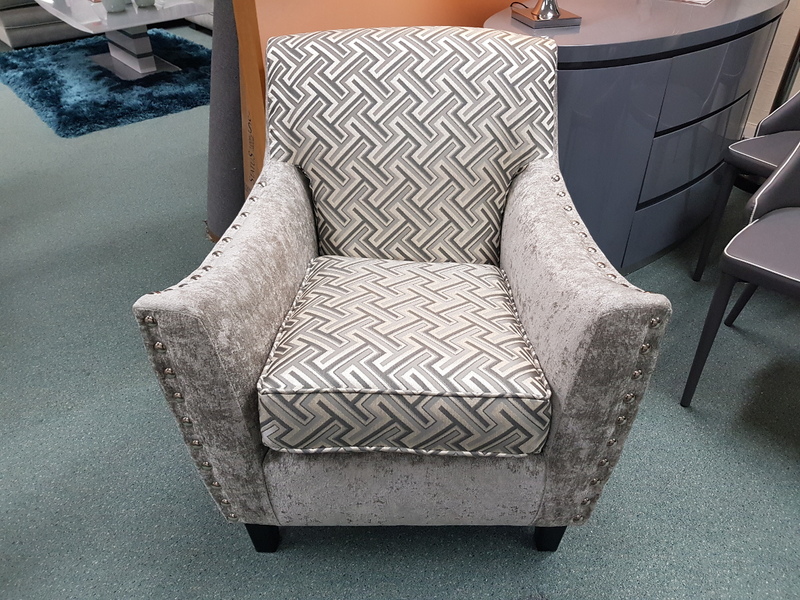 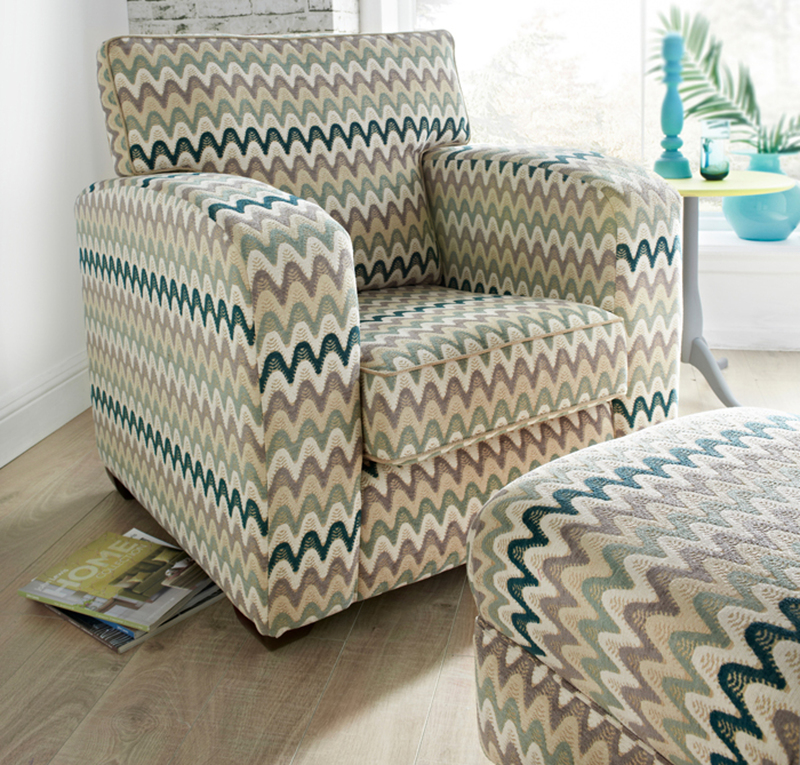 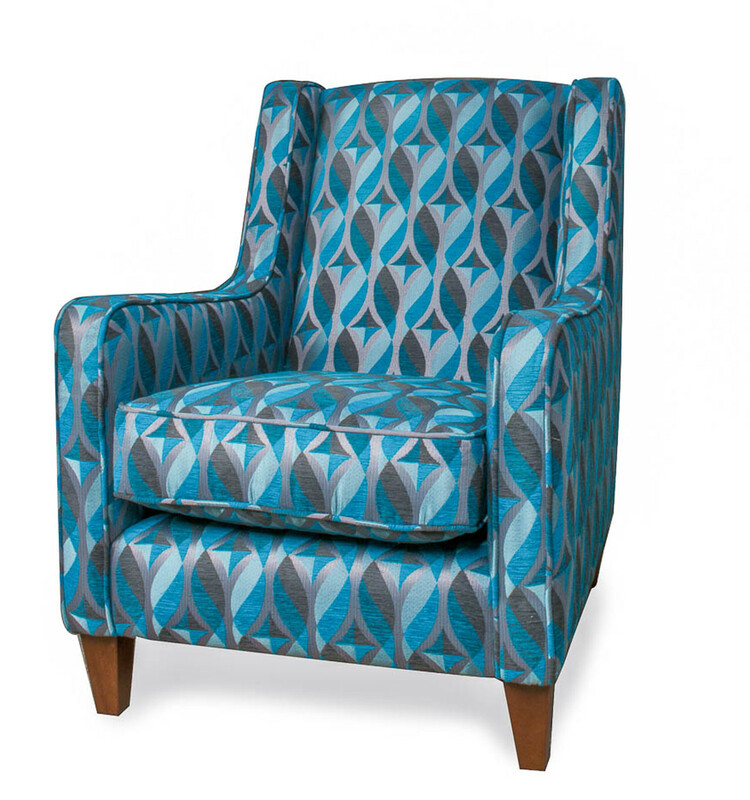 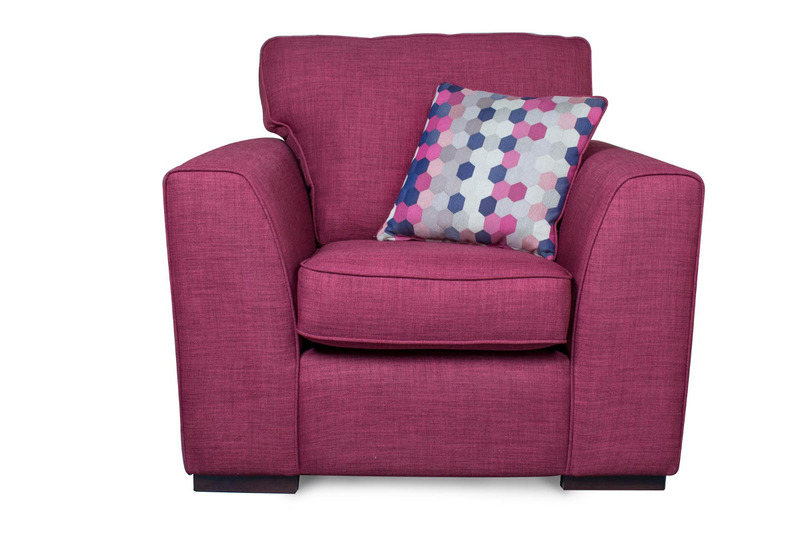 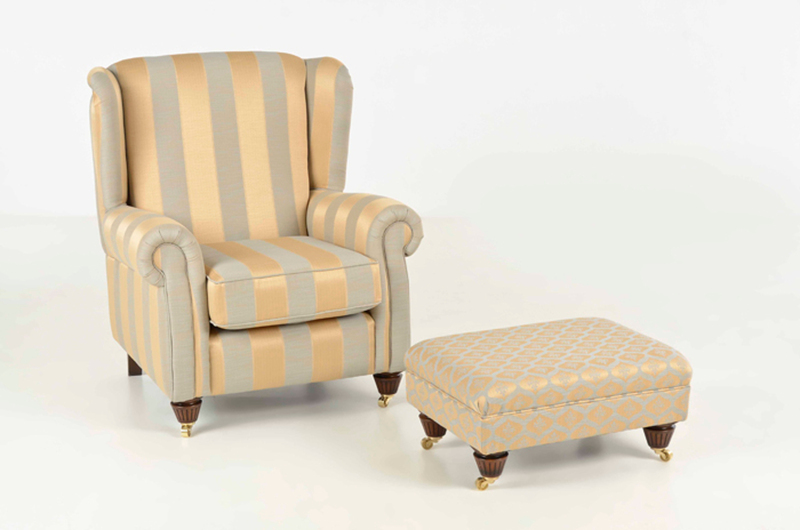 Cuddle chairs and accent chairs have become very popular as a way to mix and match different prints, colours and fabrics as part of your sofa range. 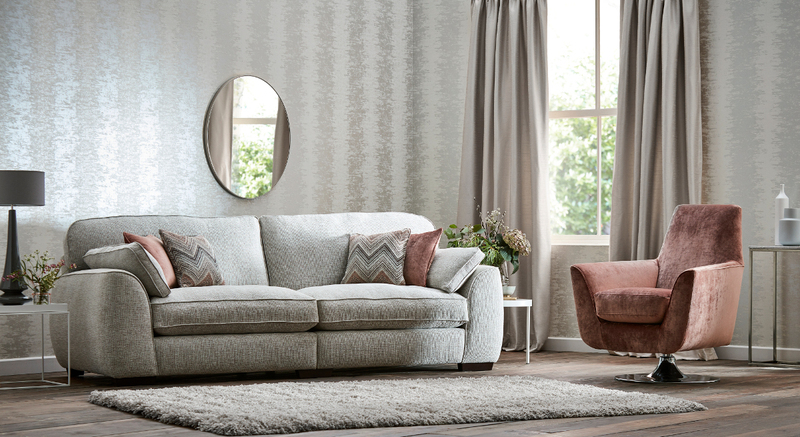 Many of our models are made up of multiple prints which can differ across the main sofa and chair and are complemented by matching scatter cushions. 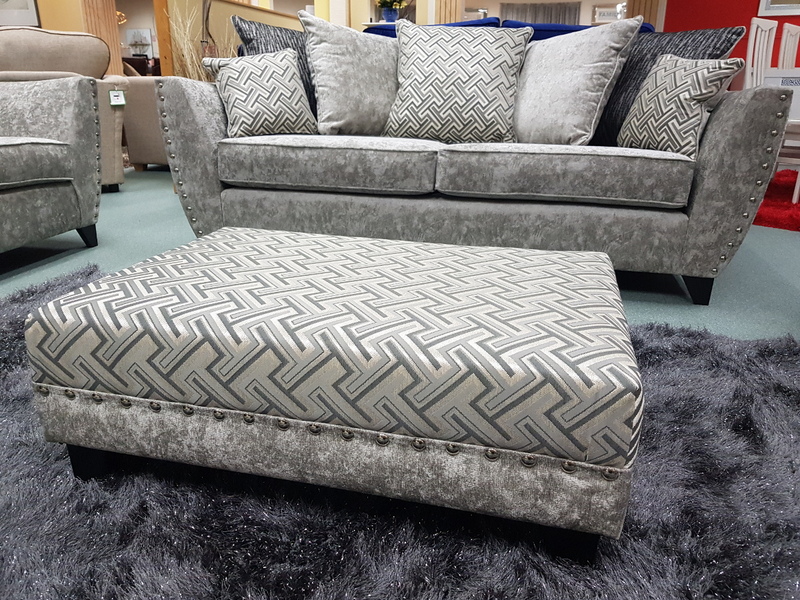 This arrangement can add a modern spin to a traditional sofa type to create a unique look for your home. 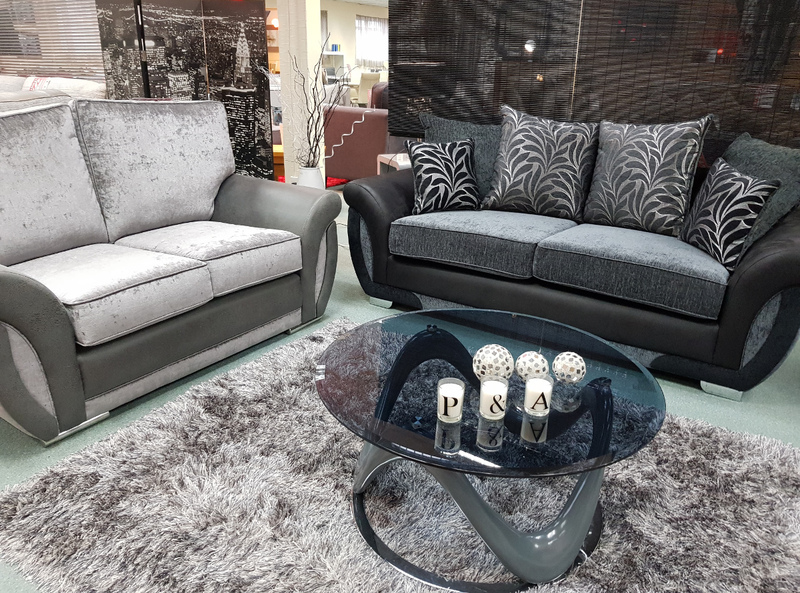 Sofas can look beautiful on the outside but understanding the interior of a sofa is also of utmost importance to ensure longevity. 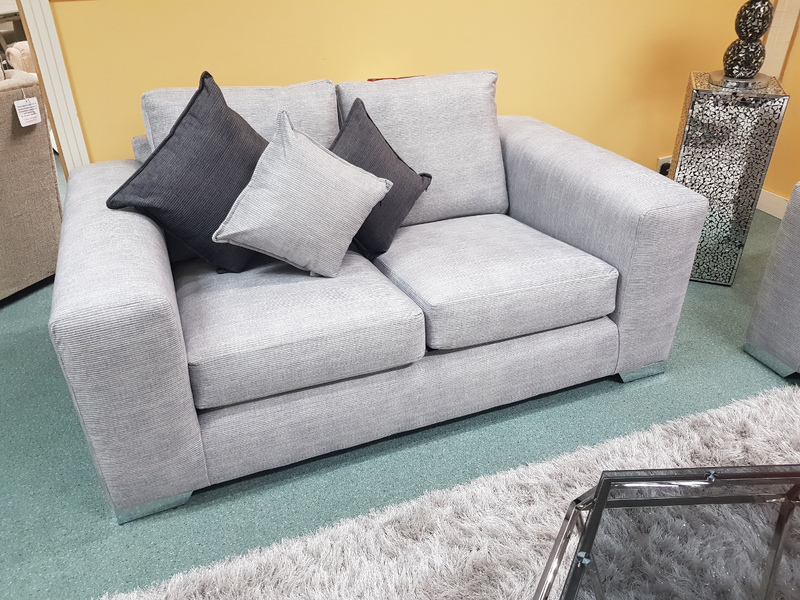 Our sofas are not only made with high quality fabrics and materials on the exterior but are also constructed of a solid hard wood interior with glued and screwed frames for extra support and durability; they are made by hand and built to last! 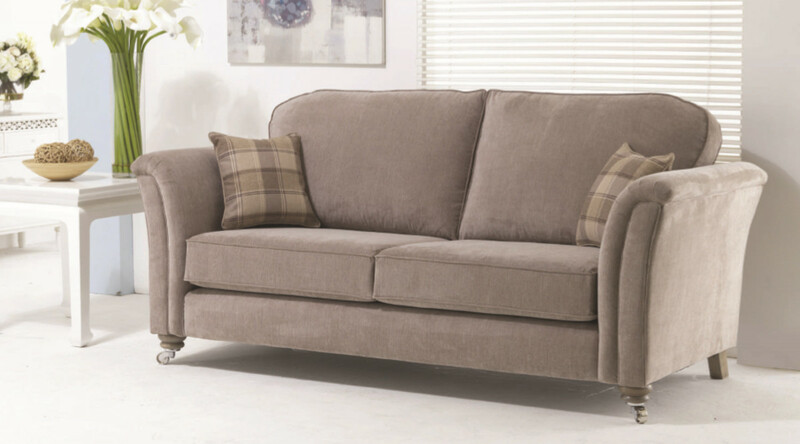 Our sofas have a variety of fillings including feather, fibre and foam. 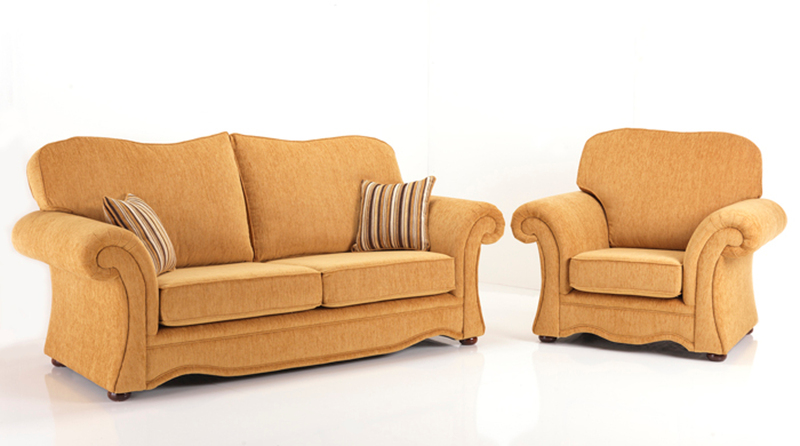 Foam can vary from soft foam to medium foam and firm foam to offer a different sit depending on your preference. 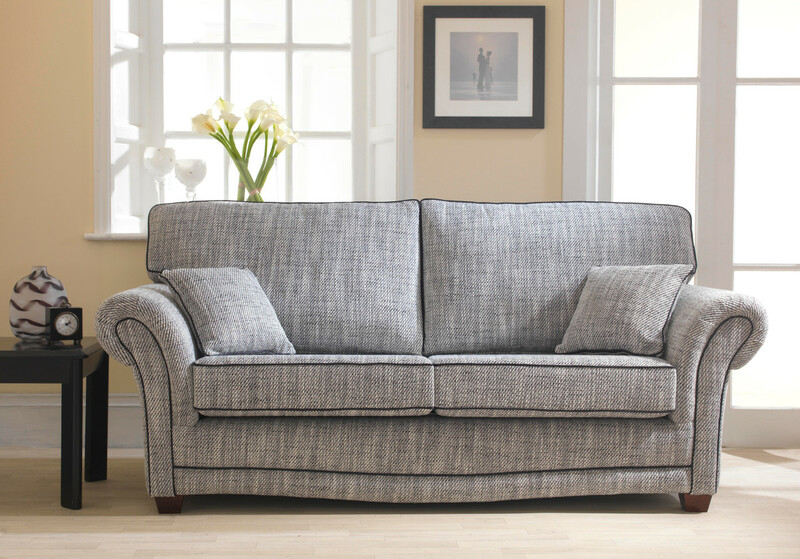 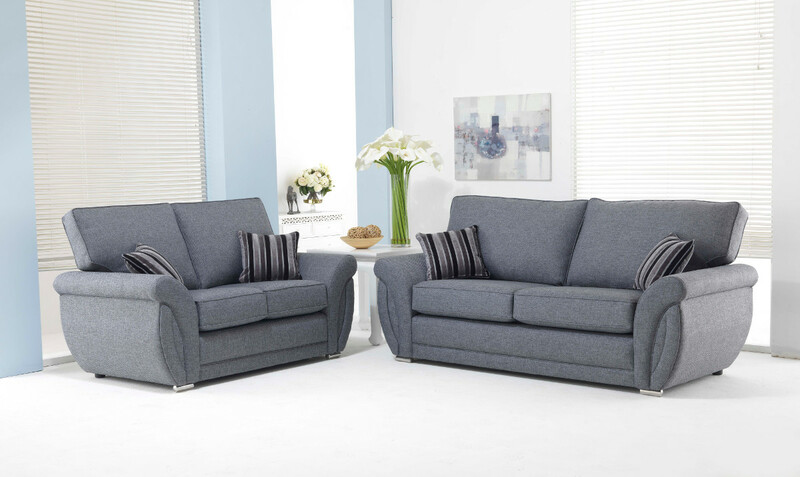 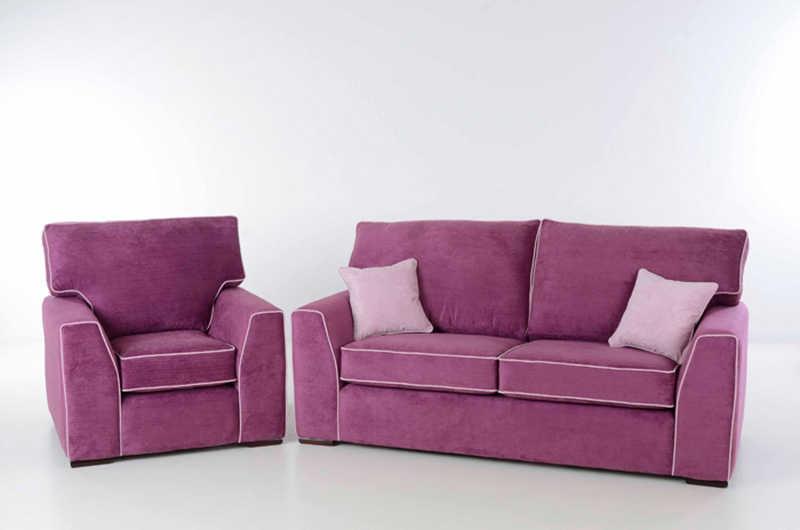 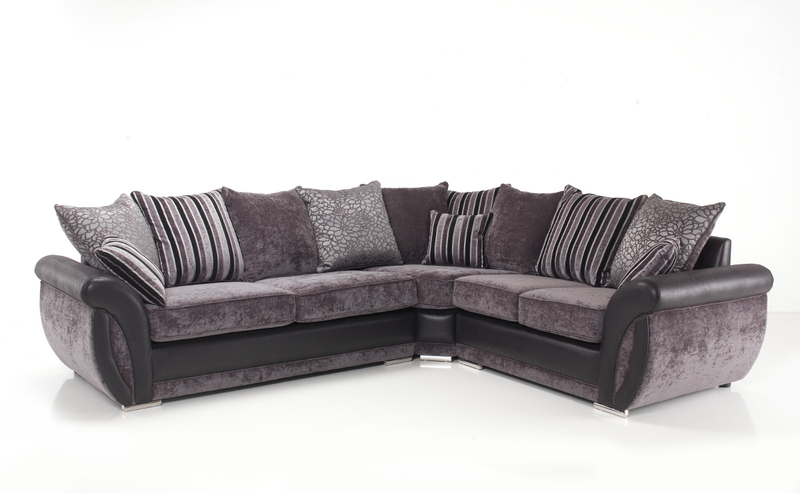 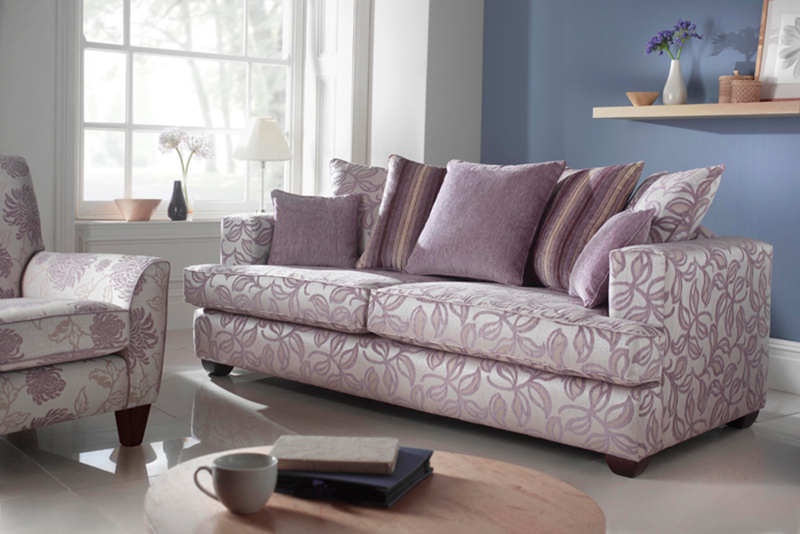 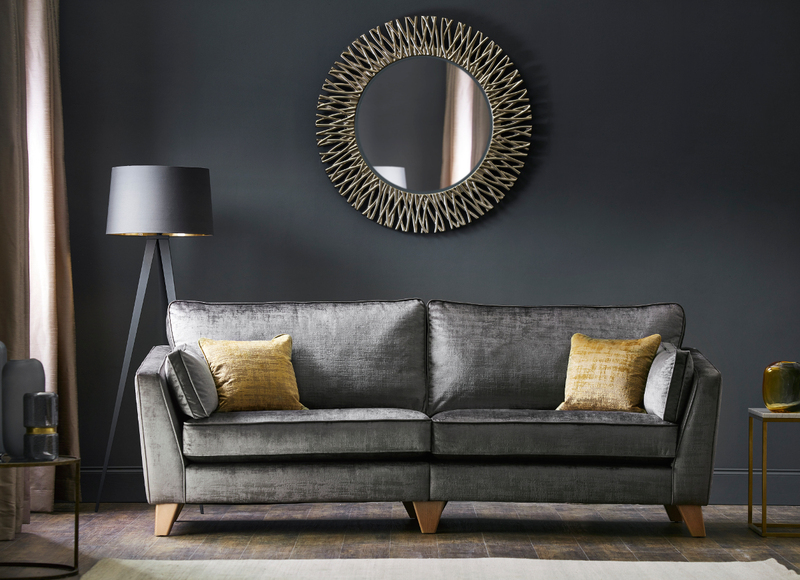 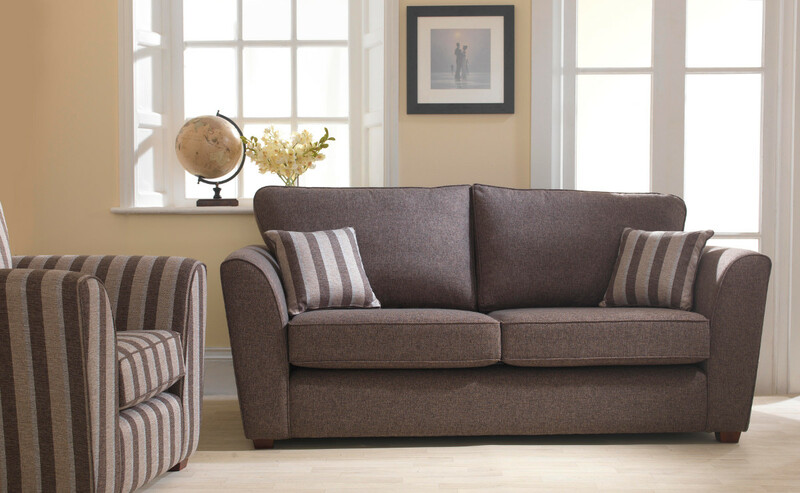 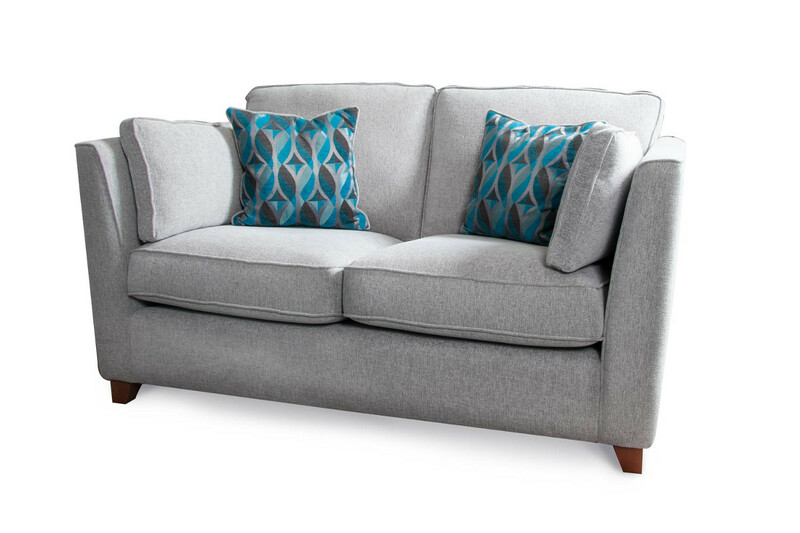 Many of our sofas also have pocket sprung, coil sprung or sprung edge cushions for superior comfort and support. 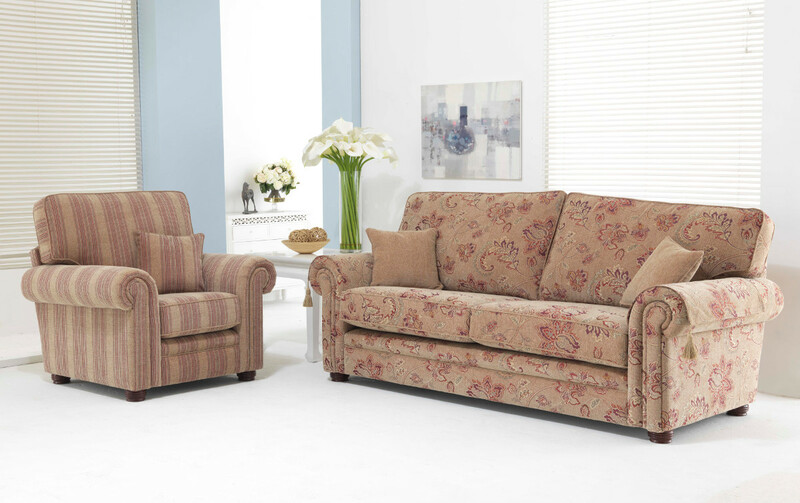 Sprung seats in a sofa act in the same way as they do in a mattress whereby the springs react to the pressure applied to the sofa to ensure that a perfect degree of support is achieved. 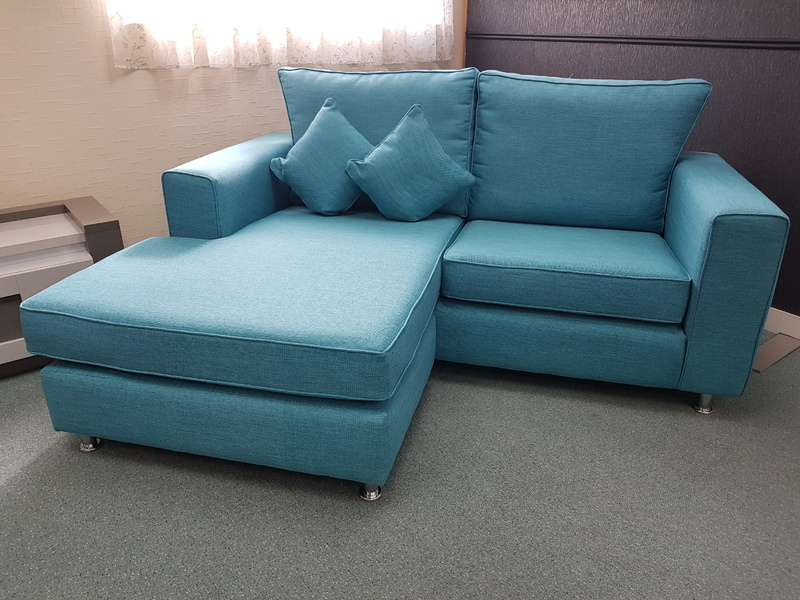 Sofas can also either have fixed seat cushions and fixed back cushions or loose seat cushions and loose back cushions, both of which have benefits. 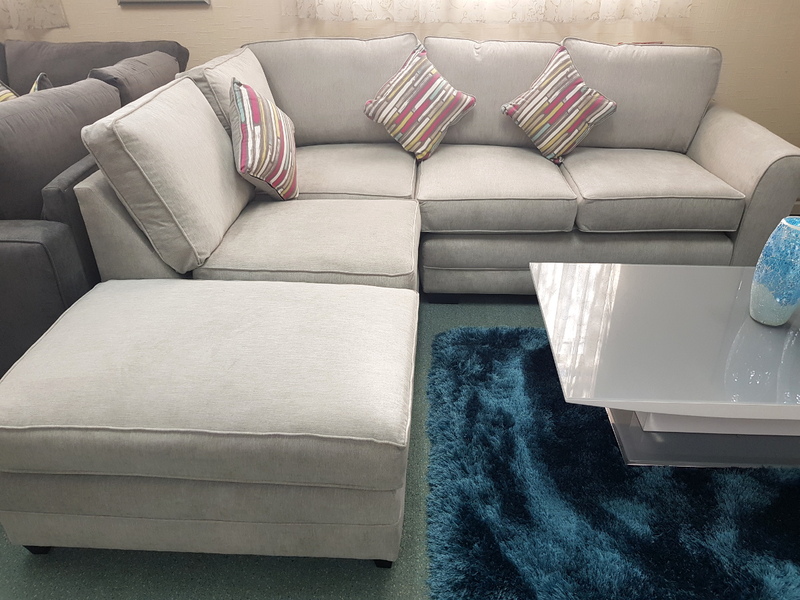 Our sofas come in a variety of designs with arm shapes ranging from flat arms, padded arms and round arms and sofa back options including standard back, high back, low back, scatter back and pillow back depending on your preferred style and support required. 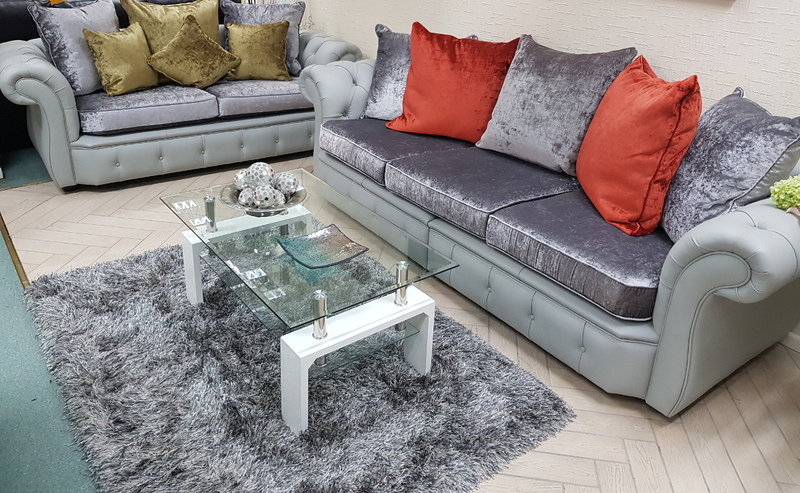 There are also a variety of feet options available across our sofa ranges including metal feet, chrome feet, wooden feet, bun feet, high feet, low feet, casters, Shepherds casters and glides. 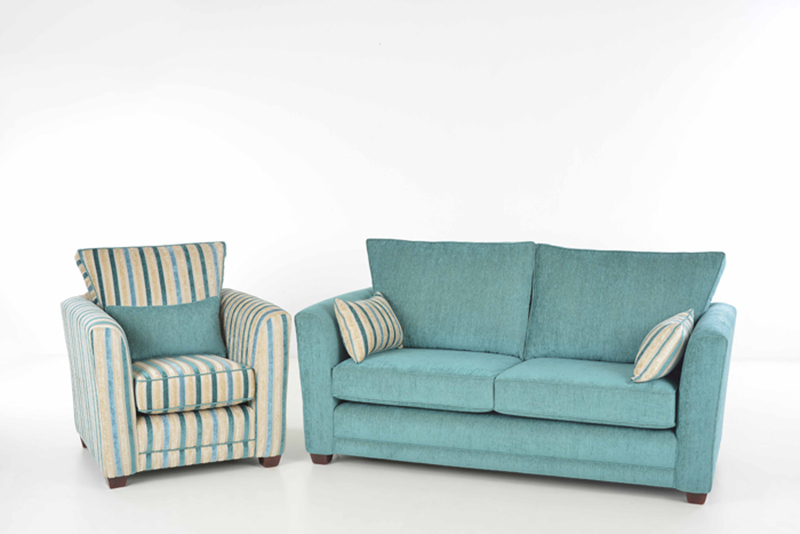 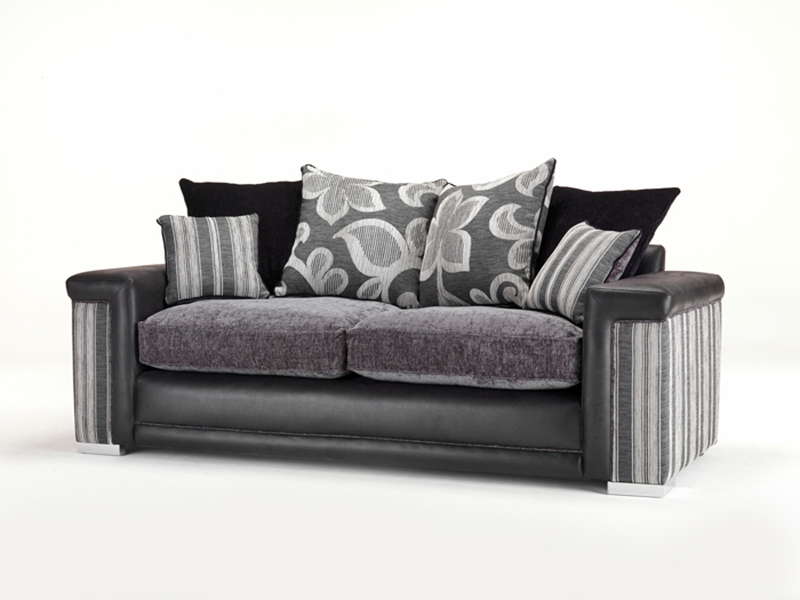 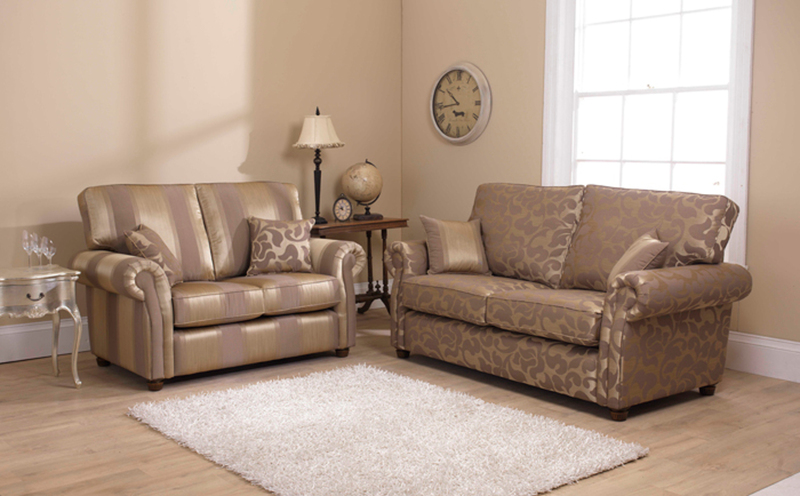 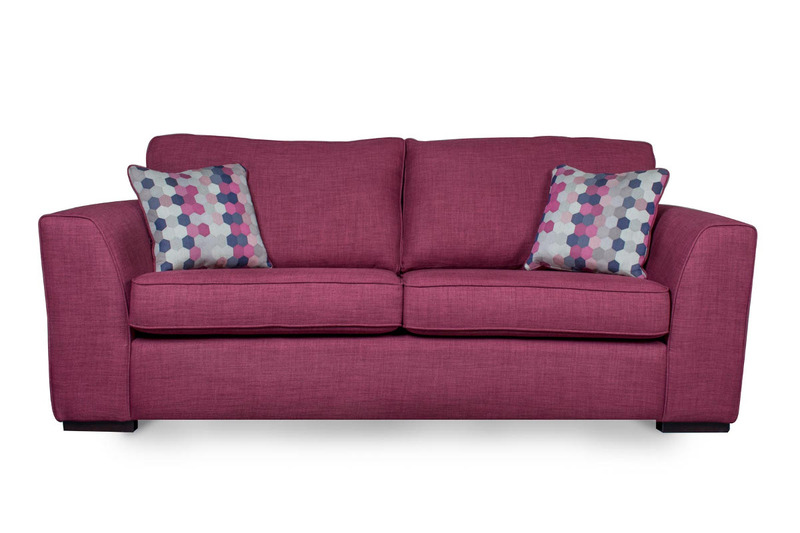 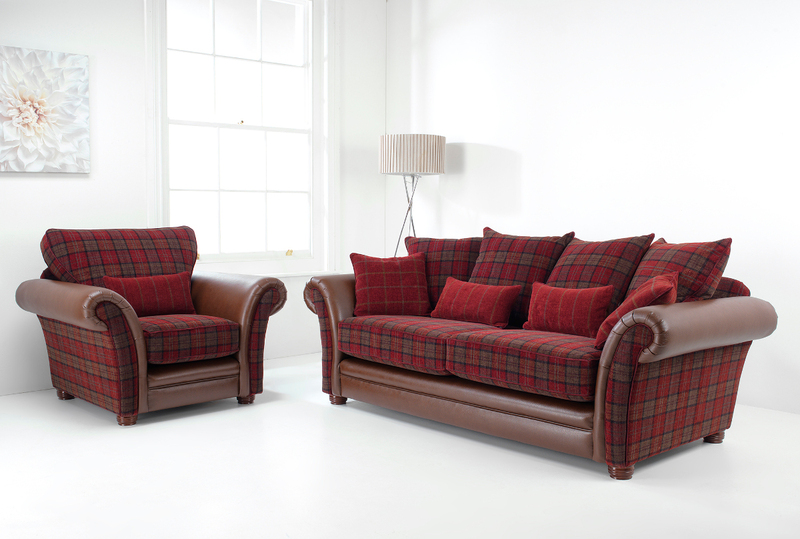 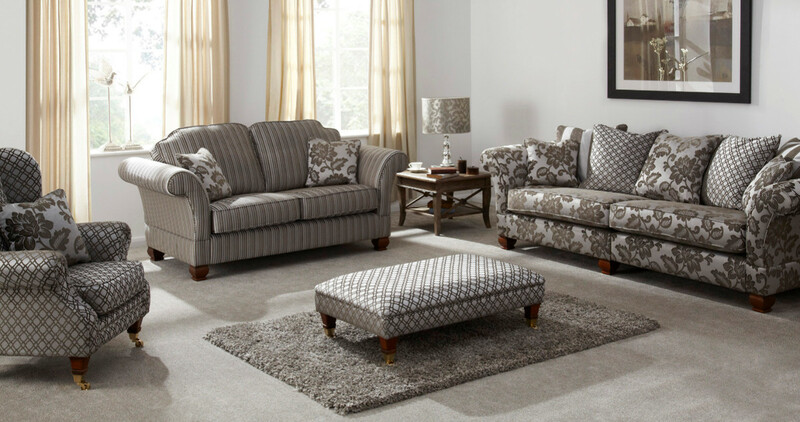 Whatever your preference, we will have a fabric sofa perfect for you! 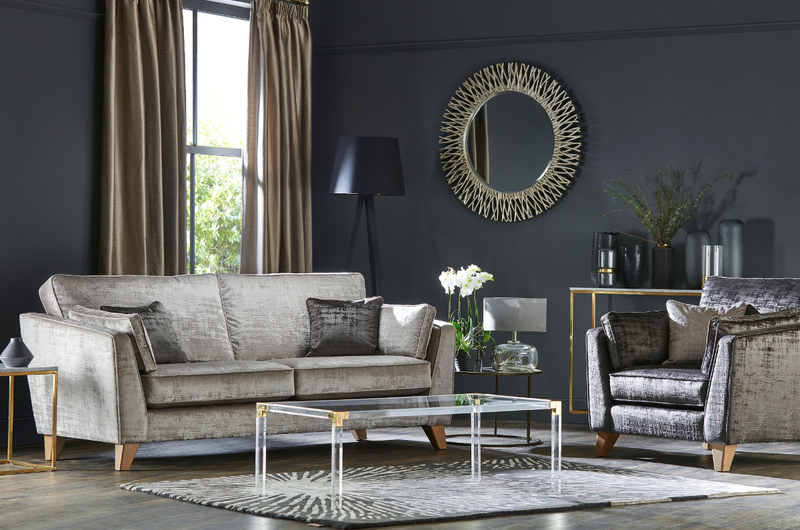 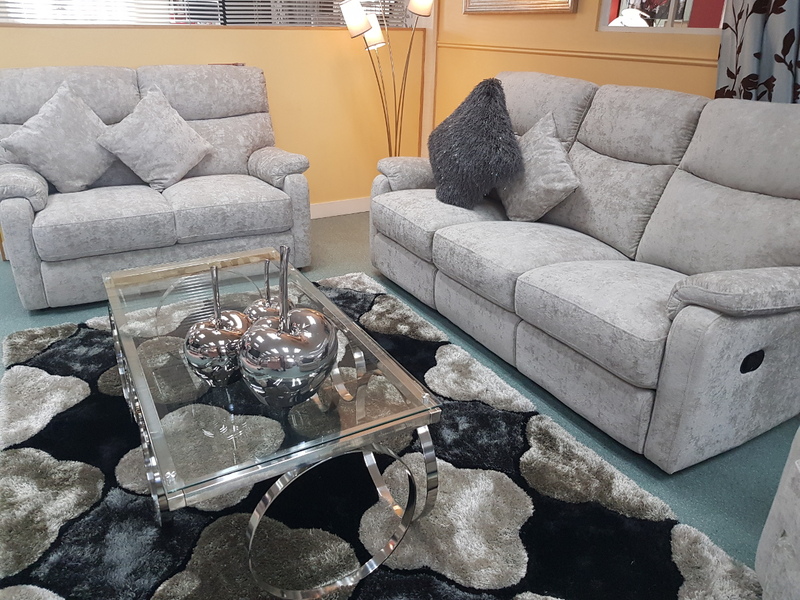 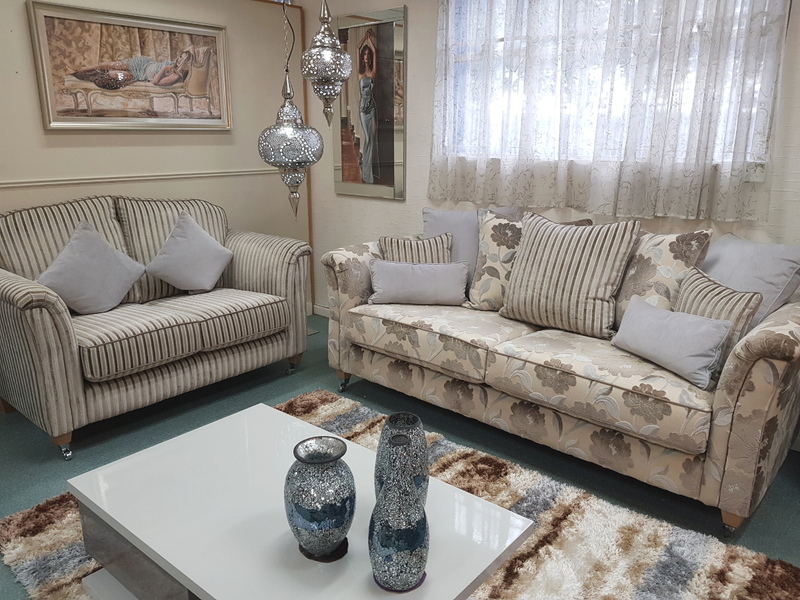 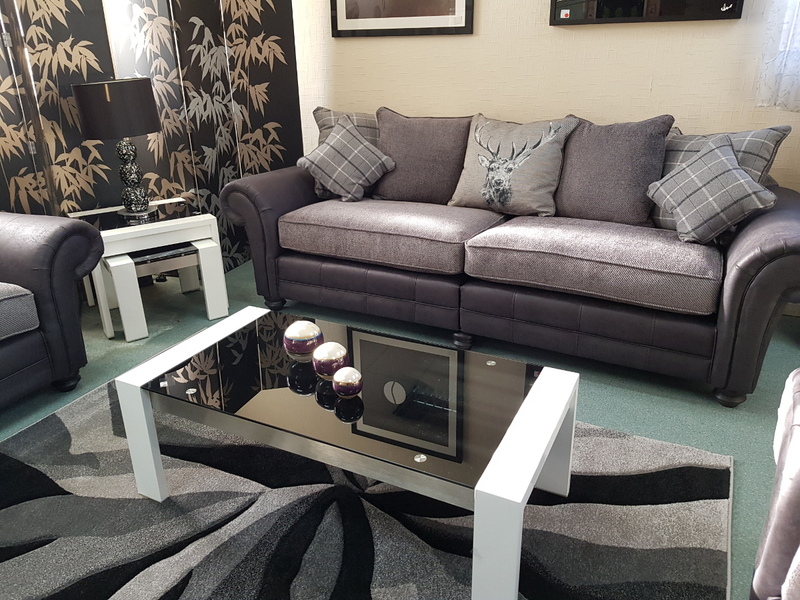 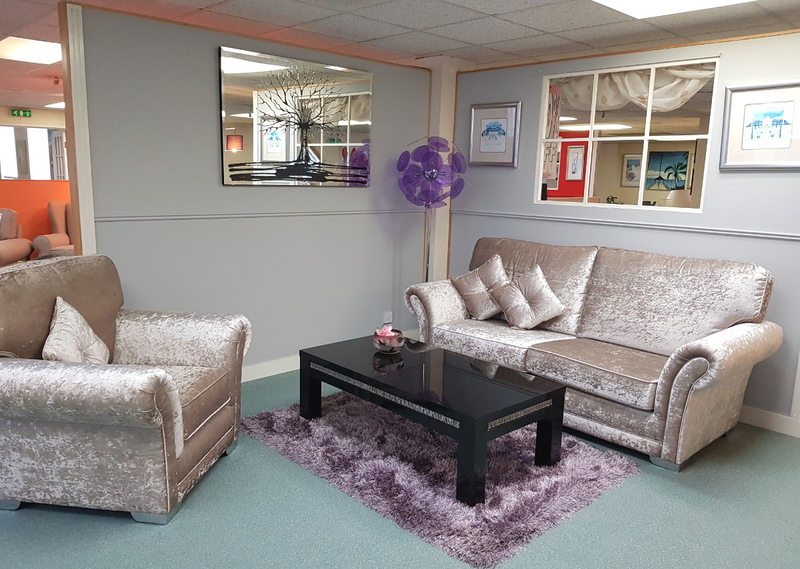 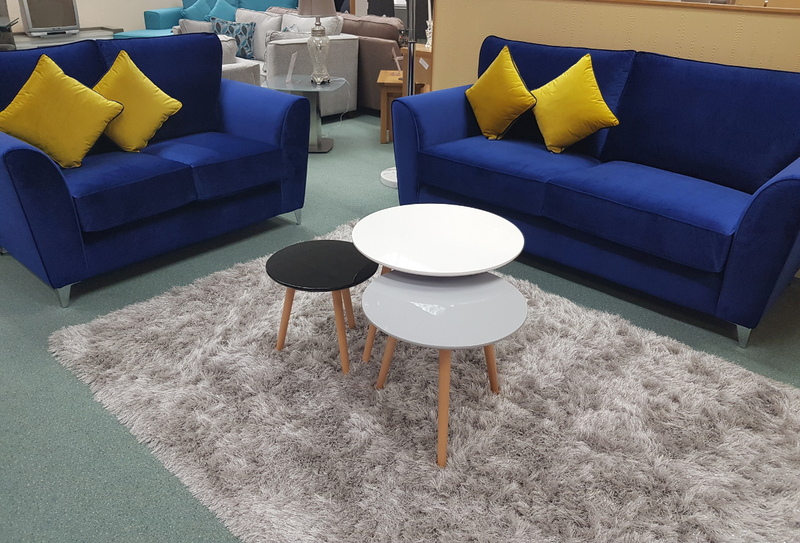 Visit our showroom to browse the range of fabric sofas we offer and to view the quality of our products first-hand.